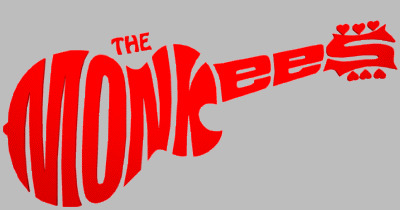 I would like to recognize the following people for their assistance in this examination of Monkees instruments and gear. 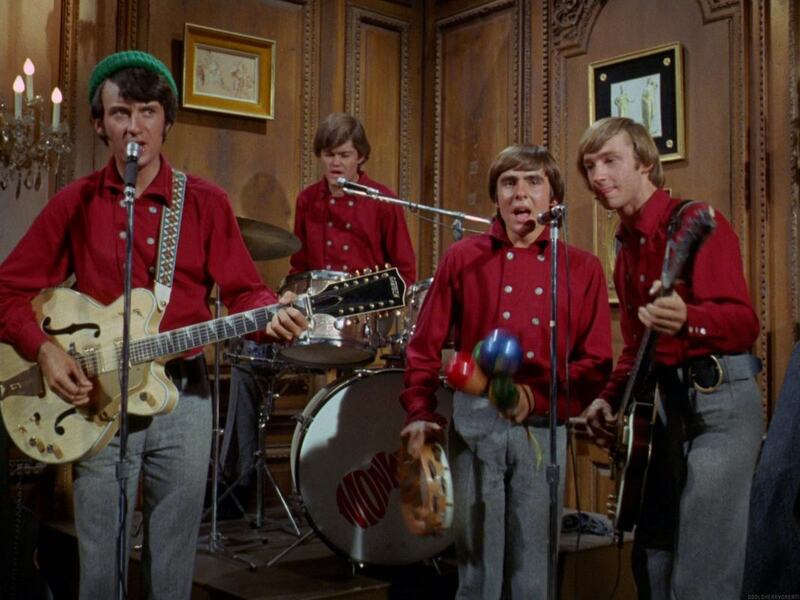 Thank you to Kevin Schmid, longtime Monkees aficionado and collector, who contributed pictures from his collection and through countless emails and conversations assisted with details large and small. Thanks to the various representatives from Gretsch Guitar, Gretsch Drums, Gibson, and Fender for answering questions about model numbers and production runs. 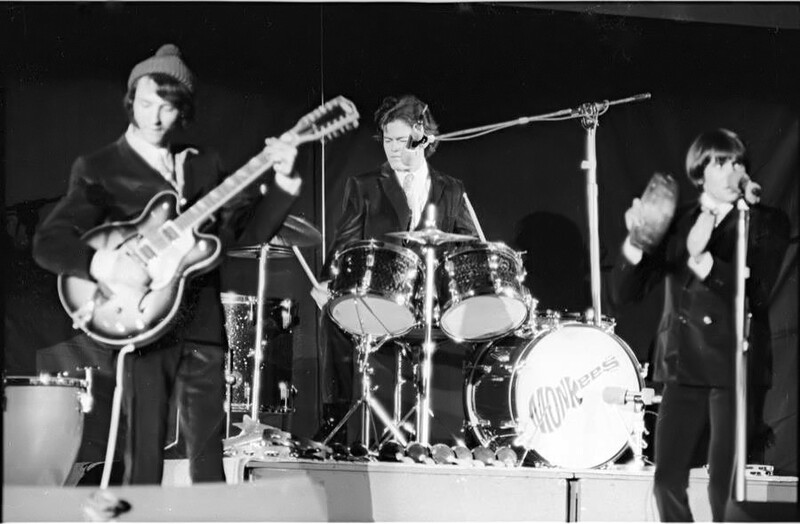 And a special thanks to Monkees archivist, author, and producer Andrew Sandoval, who graciously took time from his busy schedule to provide new information and properly identify photographs. Andrew wrote the definitive book on The Monkees. Be sure to tune into his Come to the Sunshine internet radio program. 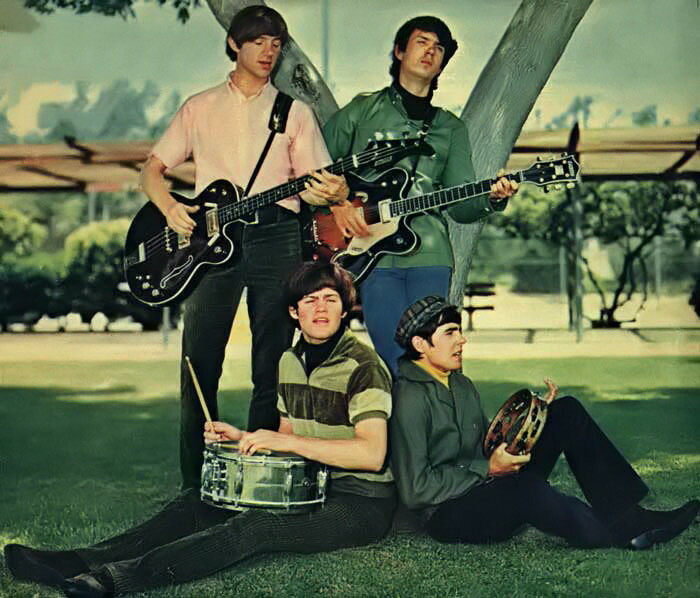 Photographs appearing on this page come from my collection, from Kevin's, and a wide variety of other sources, including Monkees and rock photographer Henry Diltz. I would also like to recognize the Sunshine Factory website for some of the screen shots that appear below. 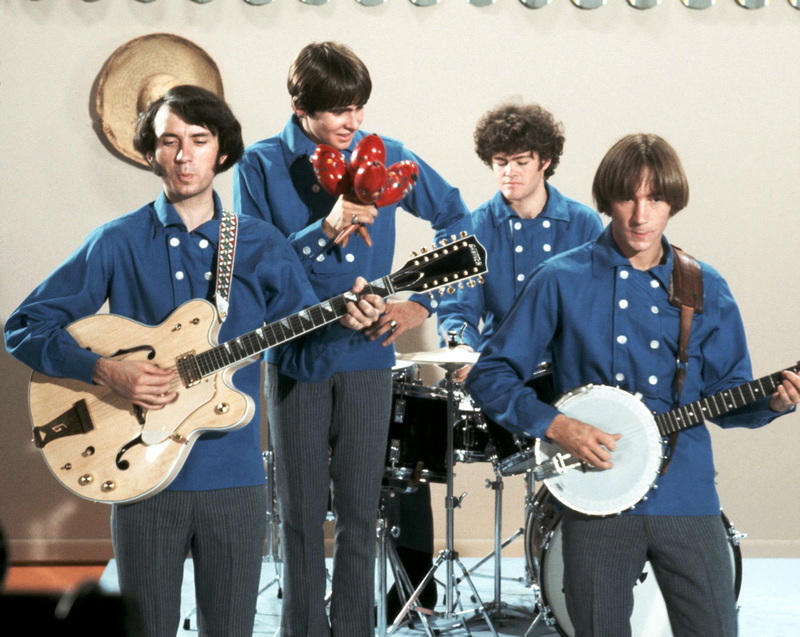 Please note that this is not an exhaustive examination of every instrument ever utilized by The Monkees throughout their entire career. The focus of this information is predominantly on the 1960s era of the group. Updates will be posted as necessary. New information and photos are always welcome. Please contact me. 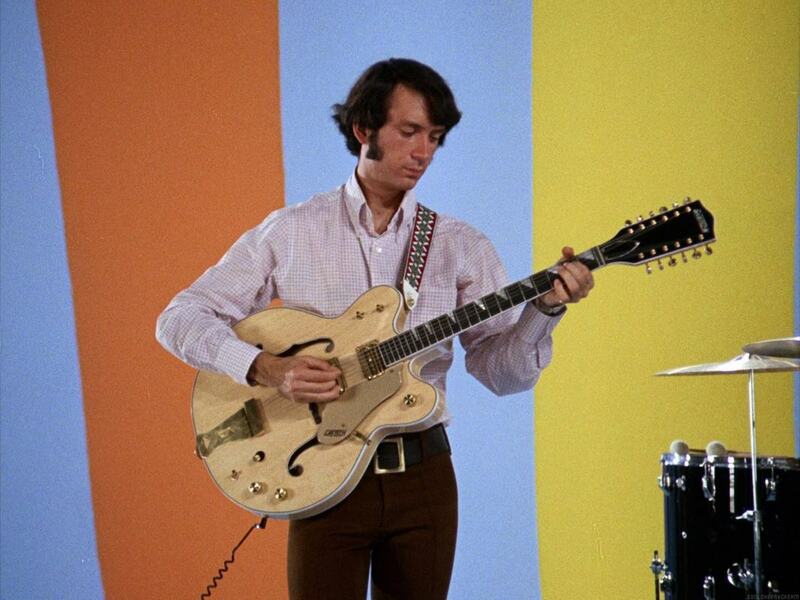 ​Perhaps no other guitar defines Michael Nesmith than the famous blonde Gretsch, played by Michael on The Monkees television series, in the recording studio, and on the concert stage throughout the 1960s. 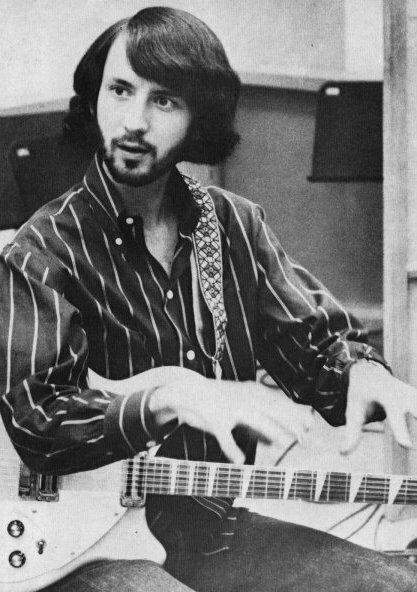 When providing audio commentary for The Monkees: Season One DVD set, Nez relayed that he always liked 12-string electric guitars. 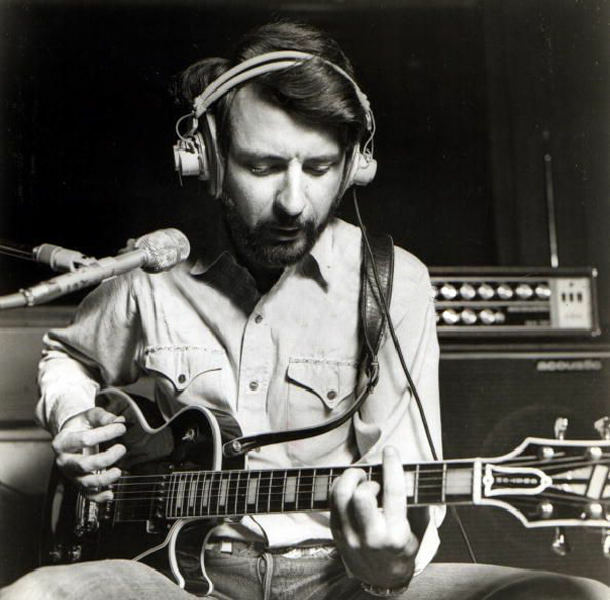 Various guitar companies like Vox and Rickenbacker produced 12-strings, but he preferred the bluesier, twangy sound made by a Gretsch as opposed to the pop sound of a Rickenbacker. Once the pilot of the TV show was sold, Nesmith approached Fred Gretsch and asked him to make a 12-string guitar. 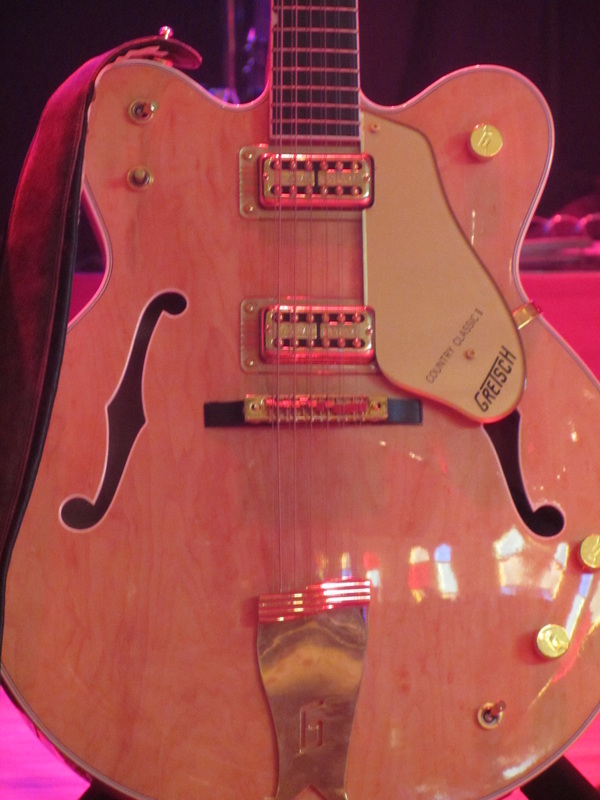 Gretsch complied and produced a non-production model, one of three made. (The other two were given to George Harrison and Chet Atkins.) "I played 12-string as a singer/songwriter. 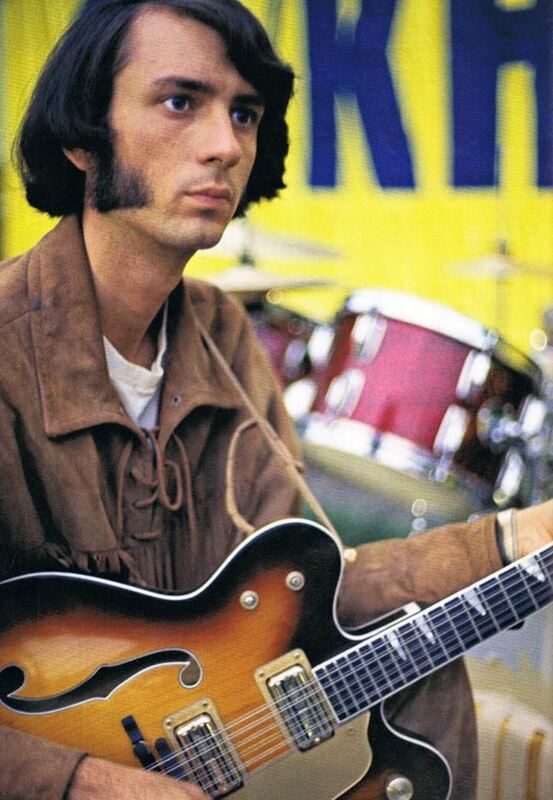 That's what I played on my own," Nesmith told Sound & Vision. "But when they said, 'What do you want to play on the show?' I said, 'Well, I want to play a 12-string.' They said, 'Gretsch will give you instruments.' I said, 'Oh, that’s great. Do they make a 12-string?' 'No.' 'Oh. Would they make me one?' And they said, 'Yeah, they will.' And that’s how I got it." 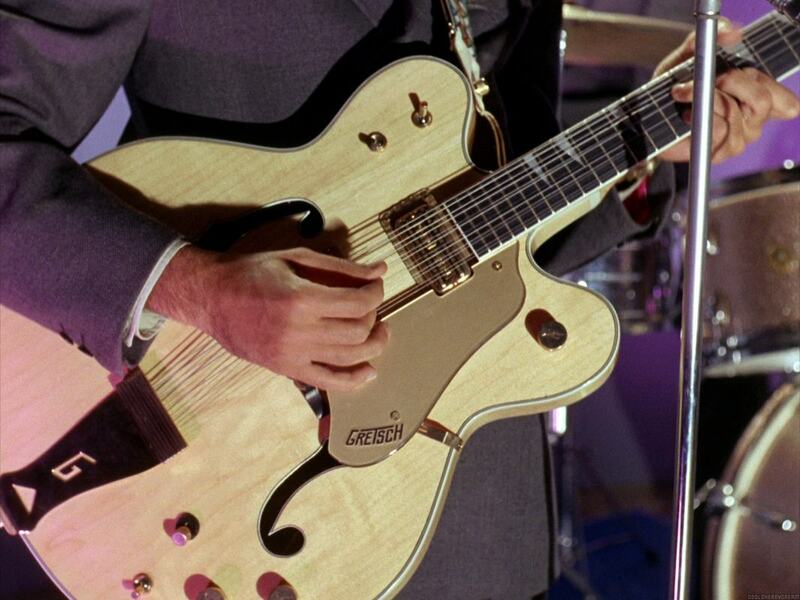 ​A representative from Gretsch confirmed that the 6076 Model was produced from 1966-1970. 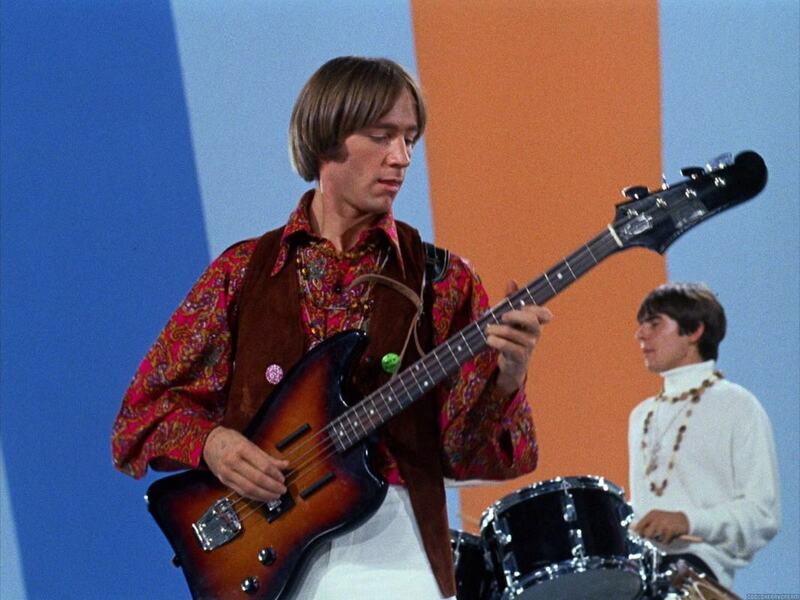 This sunburst 6-string Viking could be seen in episodes of The Monkees television series during both seasons. It has also been spotted in photographs taken during recording sessions. 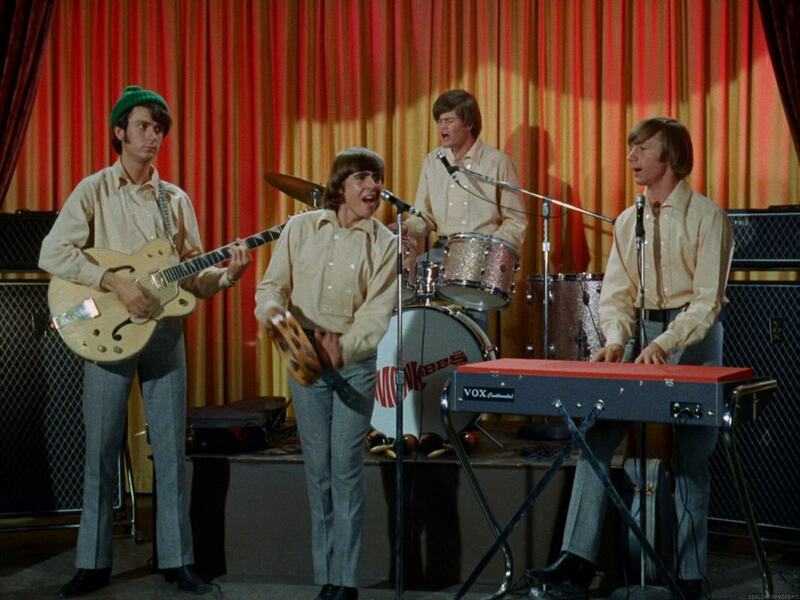 ​Another Gretsch guitar that Michael possessed appeared in the pilot episode of The Monkees. 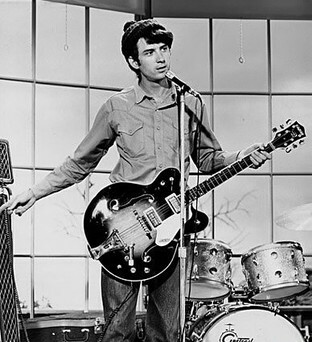 Nez had previously purchased this Gretsch Tennessean as a 6-string and later had it converted to a 12-string in Los Angeles, California. The neck eventually snapped off. 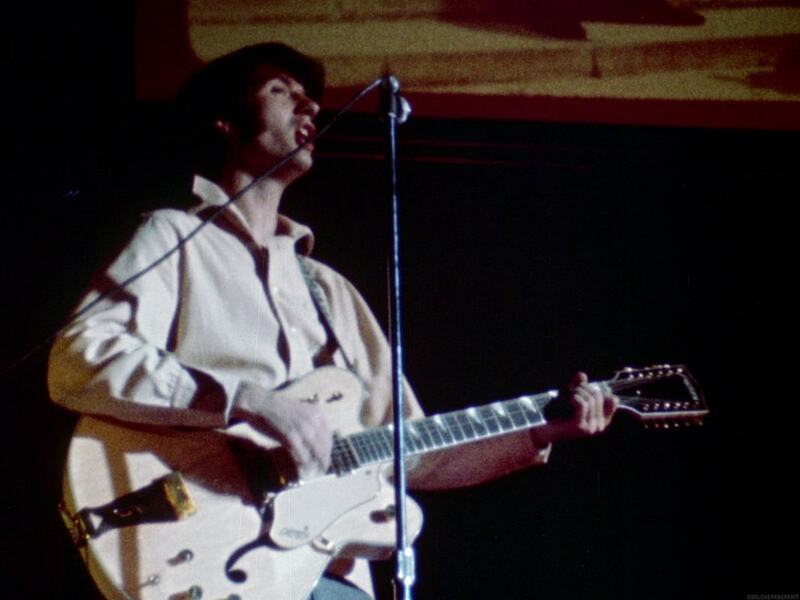 Michael used another 12-string Gretsch on tour in 1967 that was identical to his blonde Gretsch, except it was a different color (sunburst). 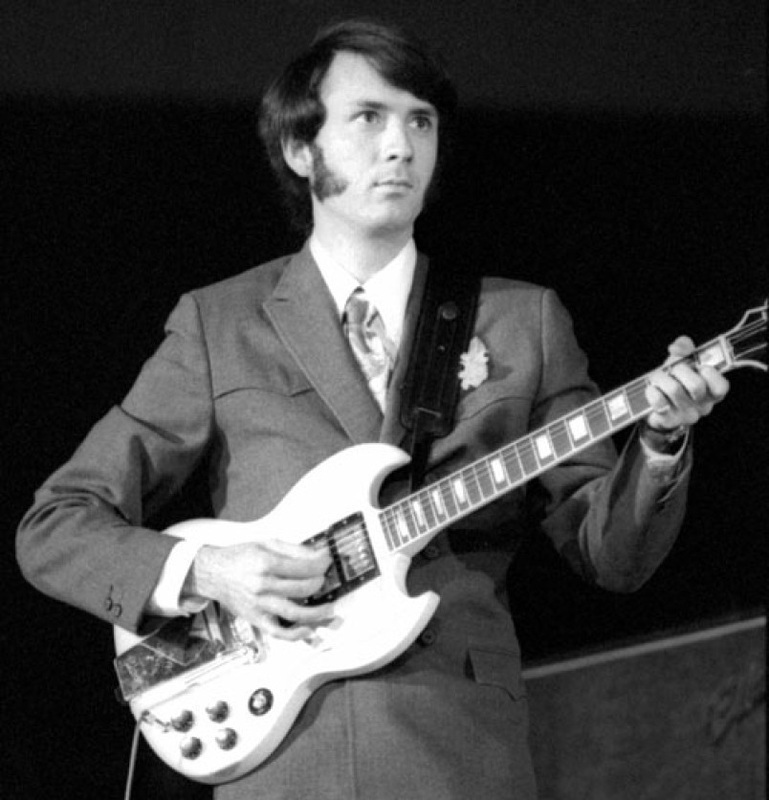 "The 6123 was fitted with two SuperTron pickups, it had real f-holes, and special features like a unique pickguard and truss rod cover sporting the Monkees logo, and a fretboard with thumbnail markers top and bottom." It is speculated that approximately 200 Monkees model Gretsch guitars were produced. This item had to be ordered directly from Gretsch by the given guitar store. 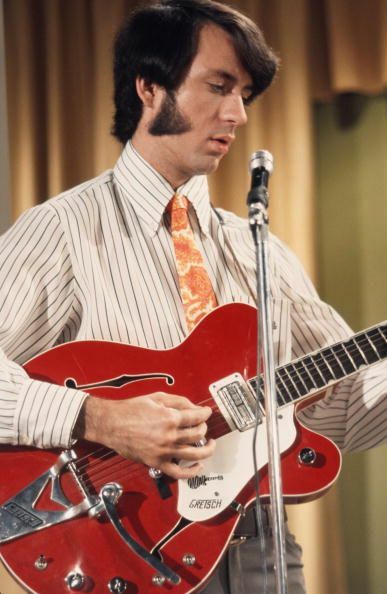 Today, the Gretsch Monkees Signature Guitar is a highly sought after collectible that has been known to sell for thousands of dollars through online retailers like eBay. 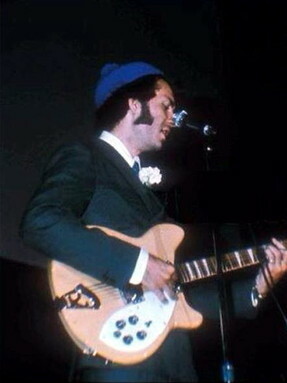 (Left) Michael with a Gretsch Monkees Signature Guitar. 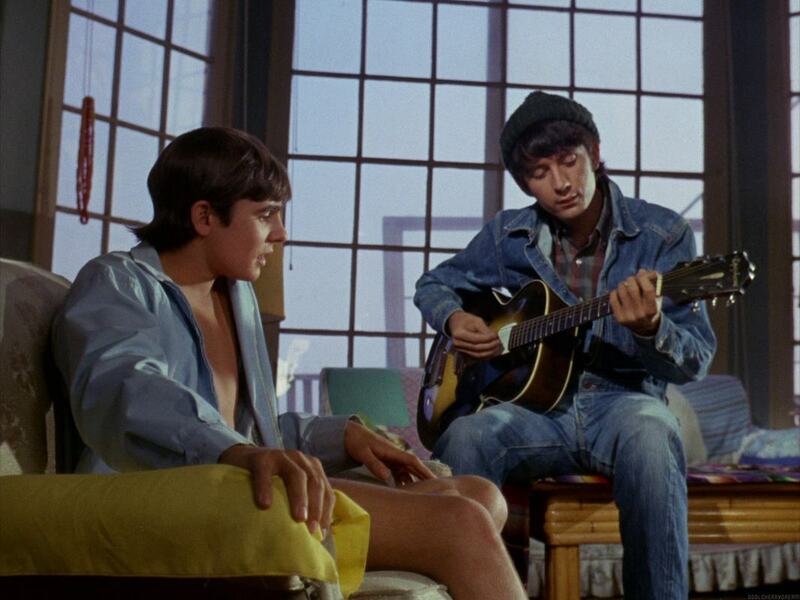 It could be seen on a couple of episodes during the second season of The Monkees. 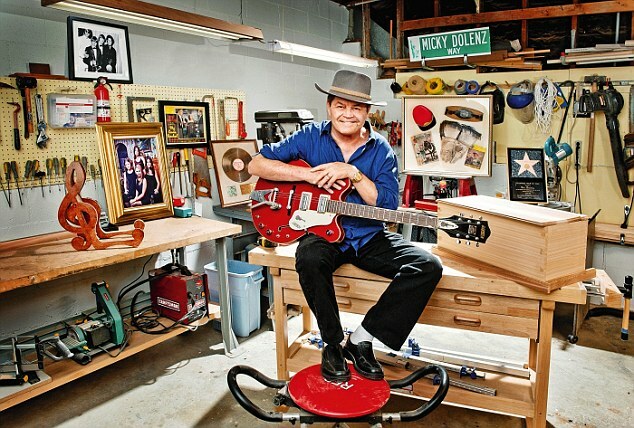 Micky Dolenz currently owns two Monkees model Gretsch guitars. He was gifted one by a fan in 2014. 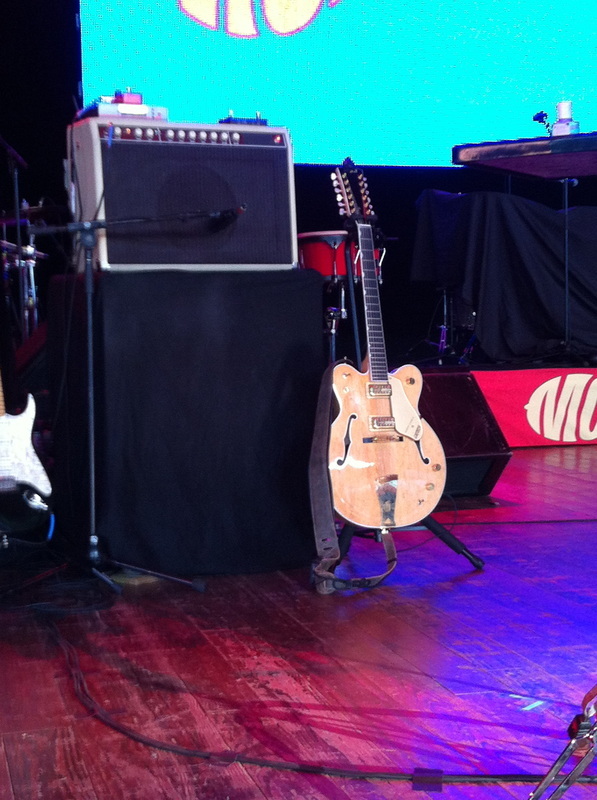 Wayne Avers, longtime Monkees touring guitarist and musical director, played this particular guitar on the 2014 Monkees Tour. Micky received the second one from a collector a few years ago. 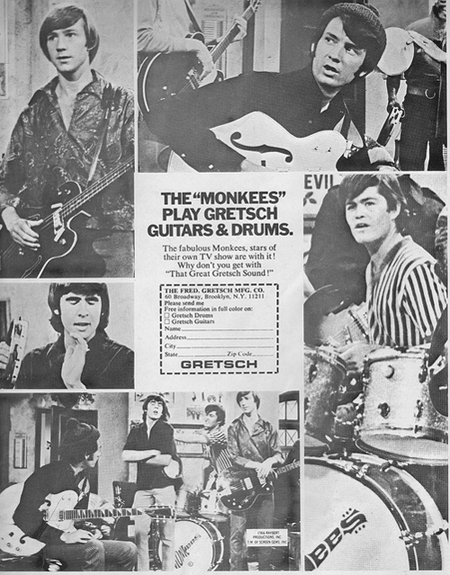 In the years since Monkeemania in the 1960s, Nez has continued to play Gretsch guitars. 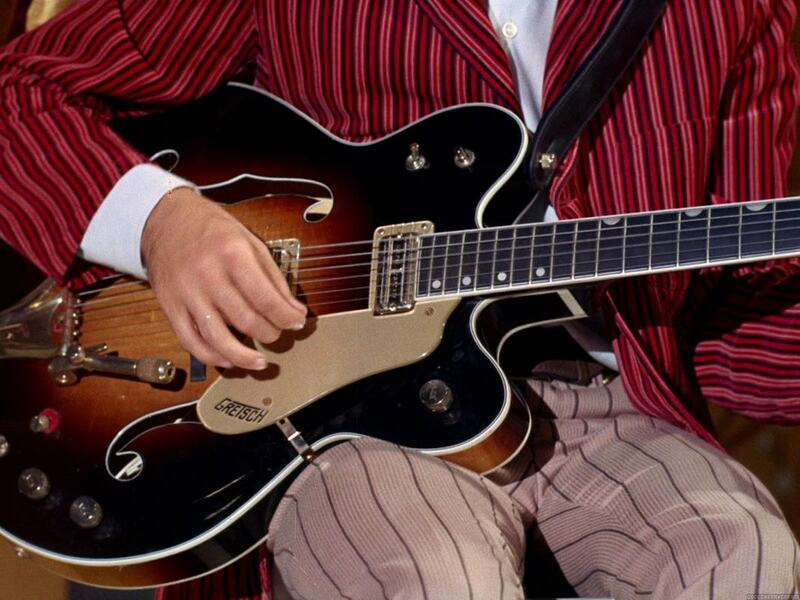 The blonde Gretsch guitar he used on the 2012, 2013, 2014, and 2016 Monkees tours is a twelve string Country Classic I. It was custom made for him by Gretsch when he did a concert for them in the 1990s at the NAMM Show, a music products industry trade event. This was also the guitar used during recording sessions for the 1996 Monkees album, Justus. 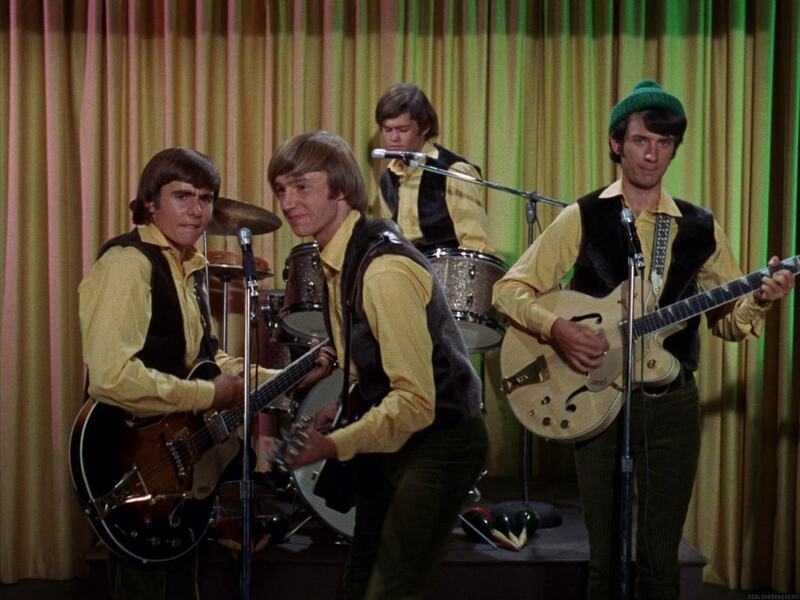 The Gibson was used most famously during the live "Circle Sky" sequence from The Monkees' 1968 feature film, Head. 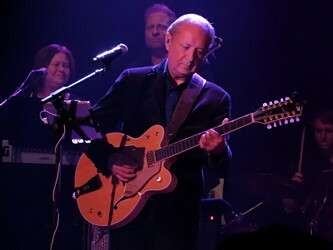 It was also utilized extensively for concert appearances, being played by Nez while on tour with The Monkees in Australia and Japan in late 1968. 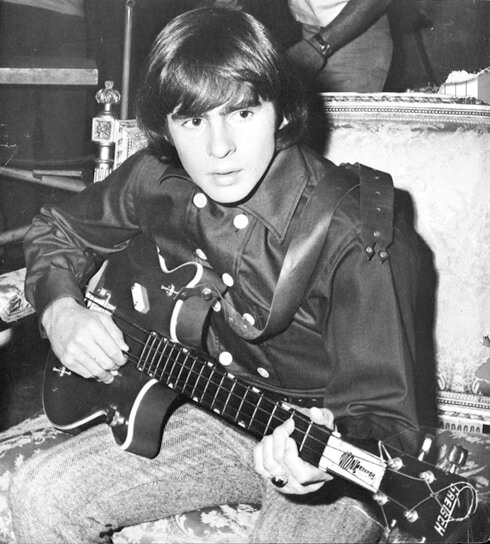 Michael was also seen with the Gibson during the "Naked Persimmon" segment on the 1969 television special, 33 1/3 Revolutions Per Monkee. 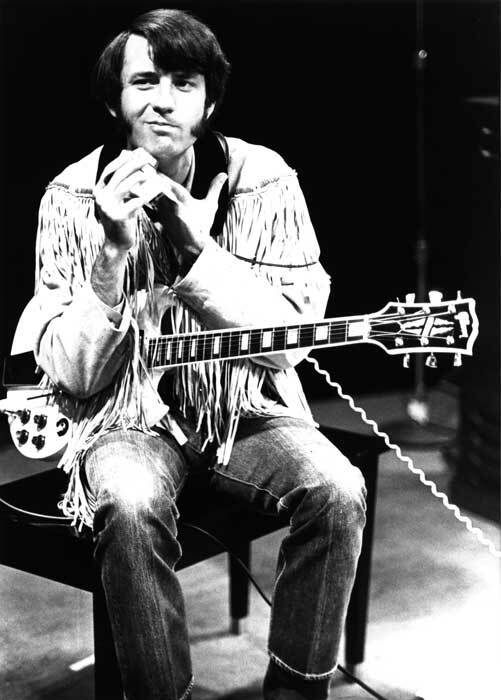 ​A frequent companion during his last full year with The Monkees, Nez used the Gibson for guest spots by The Monkees on The Joey Bishop Show in 1969 and throughout the yearlong tour across North America with Sam & The Goodtimers. 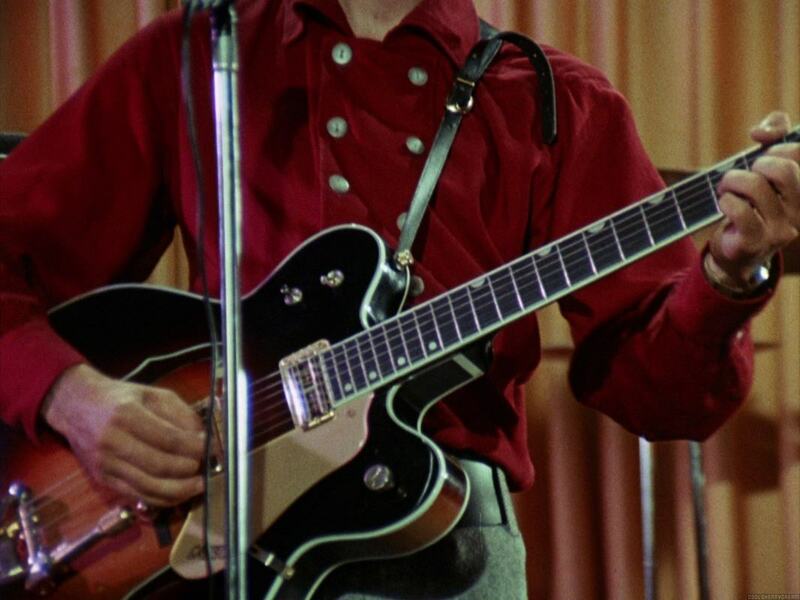 Photographs also confirm that Michael played this guitar for some early performances with the First National Band. 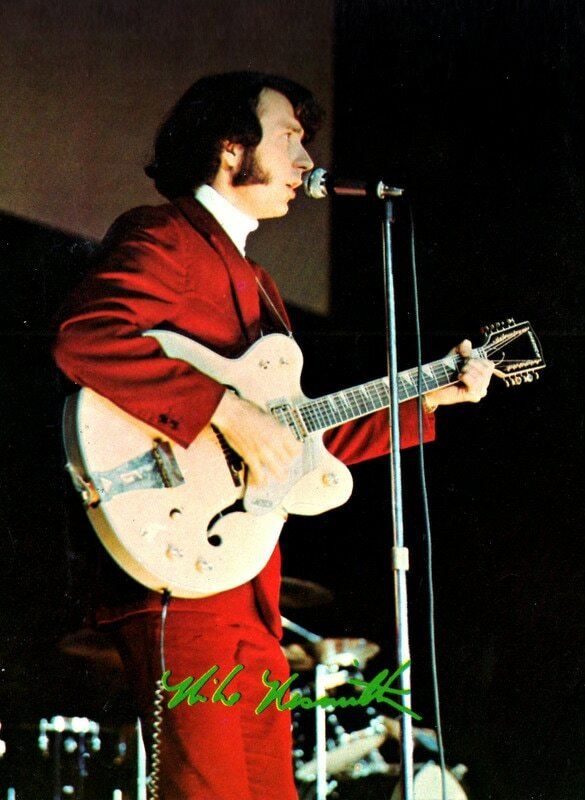 Whatever happened to Nesmith's blonde Gretsch & the white Gibson? 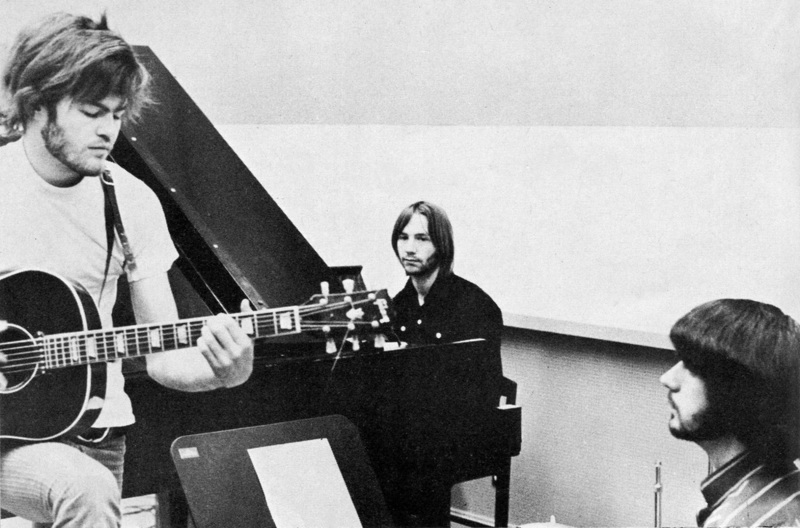 The blonde Gretsch was stolen in the 1970s (in a separate occasion from the guitars Michael had stolen from Red Rhodes' guitar repair shop). 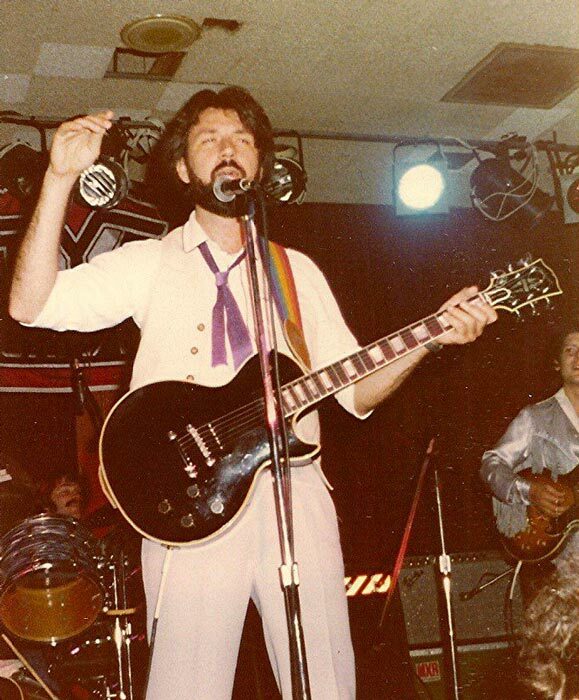 The white Gibson was apparently taken from a club in the San Fernando Valley in California in the early 1970s. 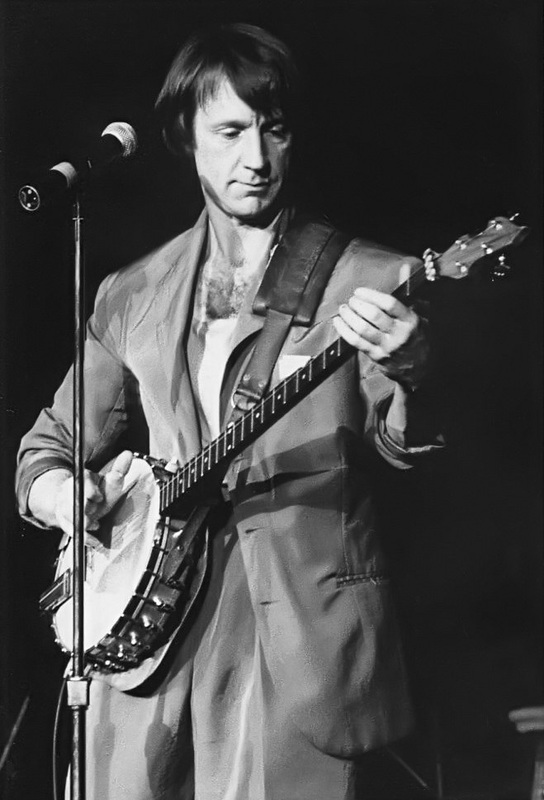 Nez has spoken about his affection for these instruments in recent years, as well as his desire to have them returned. "I know they are out there still and I miss them and would like to have them back after all these years," he posted on Facebook in 2010. "Whoever has ended up with them, please return them, no questions asked. They were and are an important part of my life." 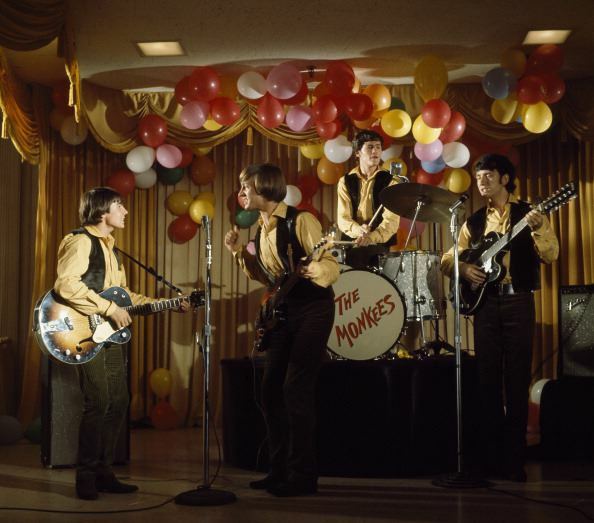 "33 1/3 Revolutions Per Monkee"
The Les Paul is the guitar that Michael played when The Monkees recorded "Pleasant Valley Sunday" in 1967, producing the classic riff that became the cornerstone of the song. 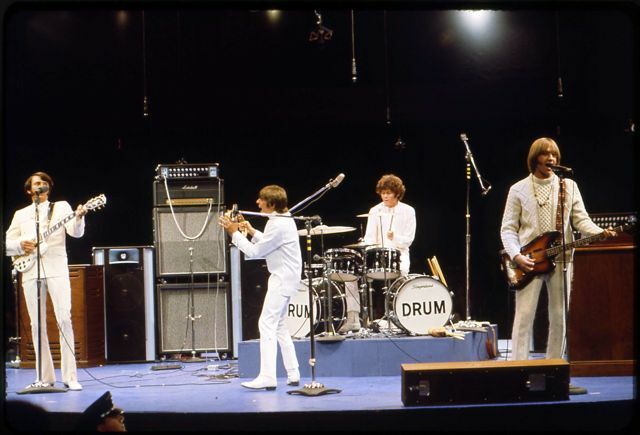 It was also seen on 33 1/3 Revolutions Per Monkee during the quartet's performance of "Listen to the Band," and again in 1969 when The Monkees performed live on The Glen Campbell Goodtime Hour. 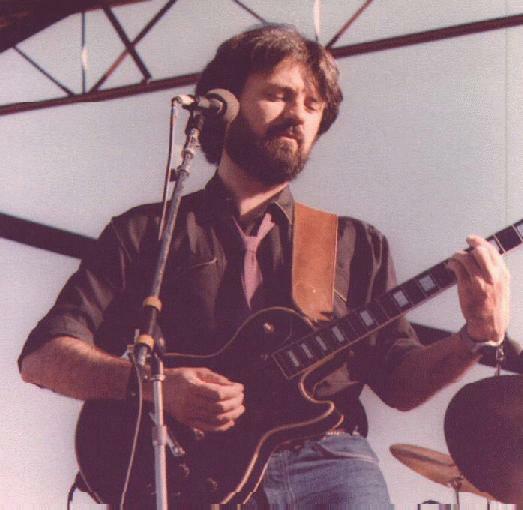 Michael continued to use the Les Paul throughout the First National Band era in the 1970s. 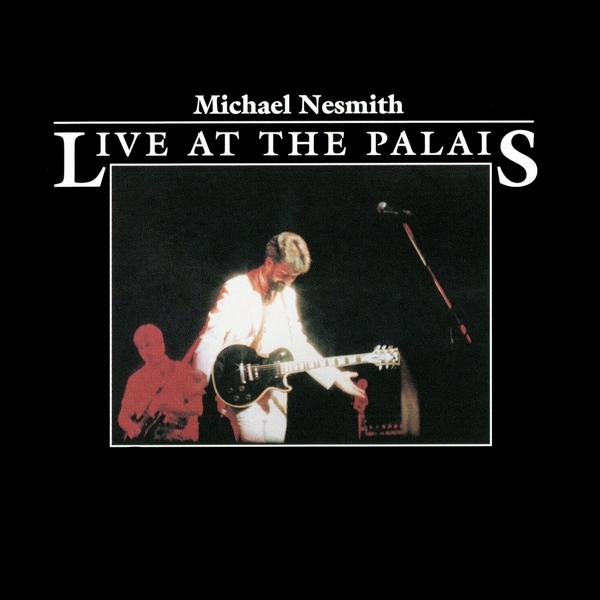 The guitar was featured on the covers of two of his solo albums, Infinite Rider on the Big Dogma and Live at The Palais. Nez was last seen using the Les Paul while performing with The Monkees at the Greek Theatre in Los Angeles in 1986. 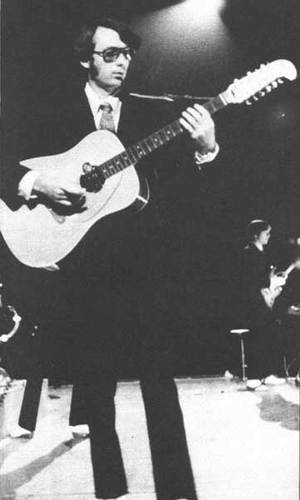 Upon purchase at McCabe's in Santa Monica, California by his wife Phyllis as an anniversary present for Michael in 1967, the guitar was a used 1954 Gibson (with some 1953 parts). Michael's son Christian sold it to the original Guitar Center in Los Angeles, California a few years ago. 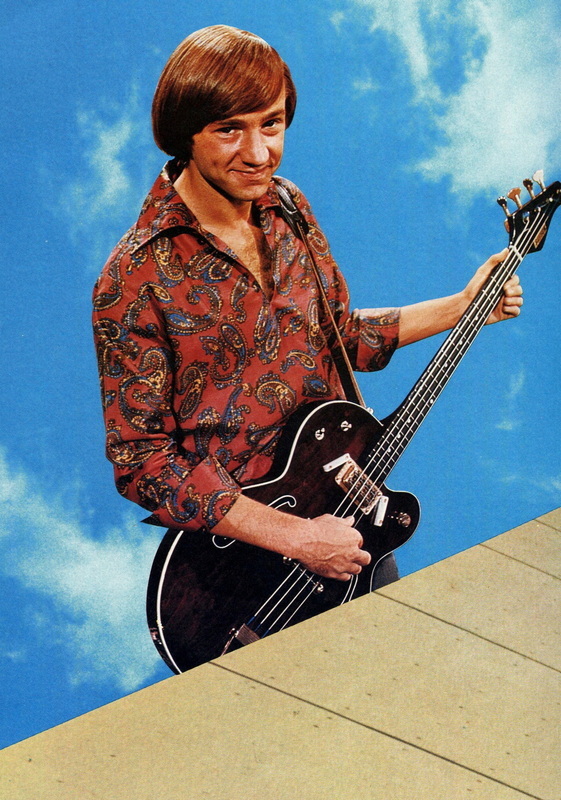 Peter's Gretsch bass is instantly recognizable from its countless appearances on The Monkees television series. 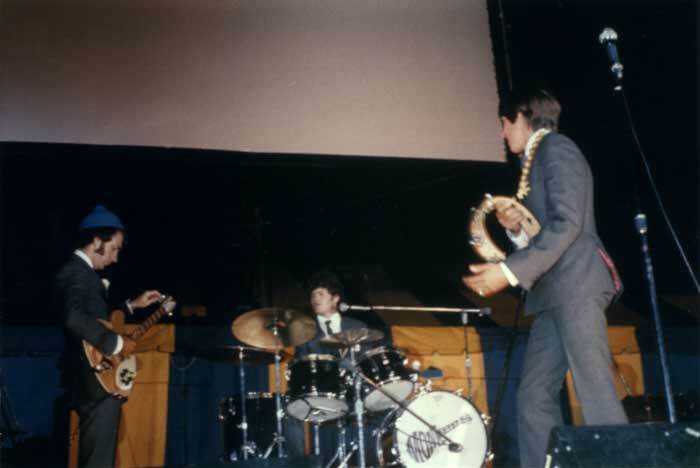 After being used onstage during the group's first concert appearances in late 1966 and throughout the spring of 1967, it was never seen again in a live setting. A quick browsing of the internet will find some bass players who took issue with this particular model in regards to having feedback problems. 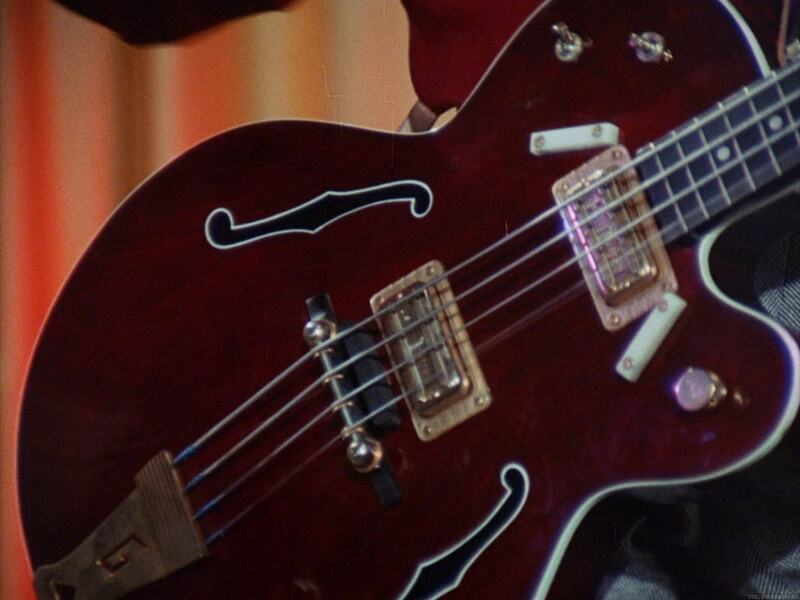 A user on a Gretsch internet discussion forum claimed to have spoken to Peter about why he stopped using the Gretsch bass and Peter apparently confirmed that it was prone to feedback, but only Peter knows for certain. The Model 6073 survives today as the G6073 Electrotone Bass and is currently for sale at various outlets. 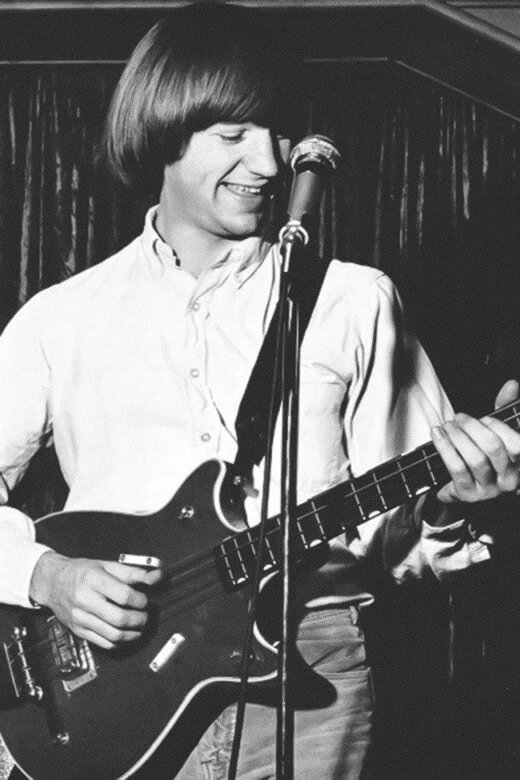 Sometime in 1967, Peter moved from the burgundy Gretsch bass to a Guild model. 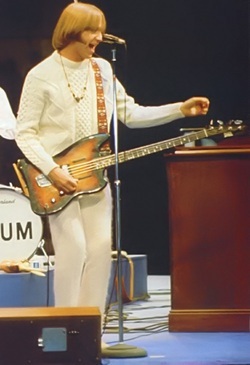 This was the bass guitar that Peter used during the 1967 Monkees summer tour that visited the United States and Great Britain. 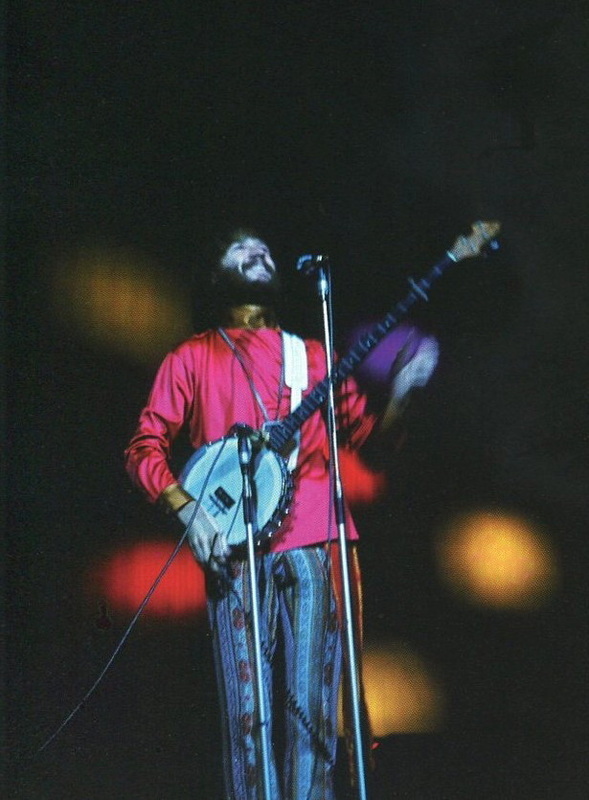 It also was famously documented in the group's film Head as Peter is seen playing it during the "Circle Sky" live performance. 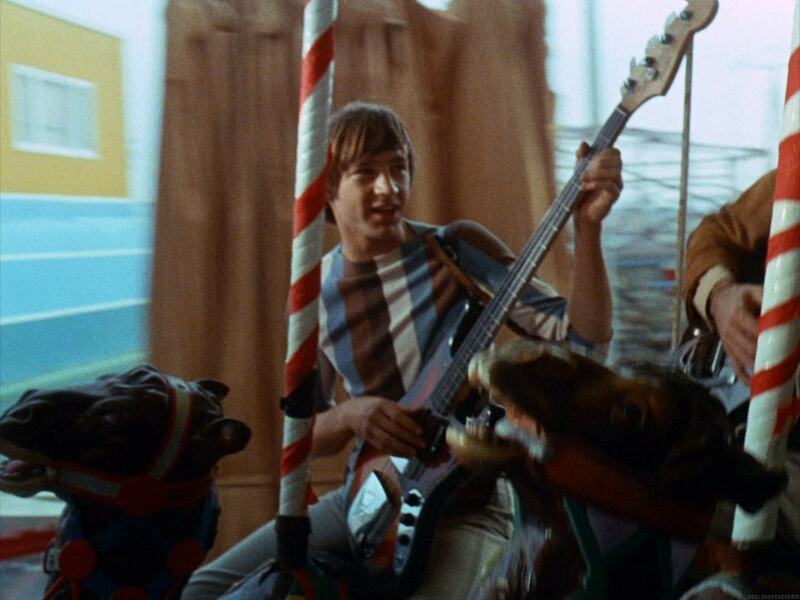 Fans of The Monkees television series will recall the Jetstar's many appearances in the music videos filmed during a break on the 1967 summer tour in the "Rainbow Room" in Chicago, Illinois. 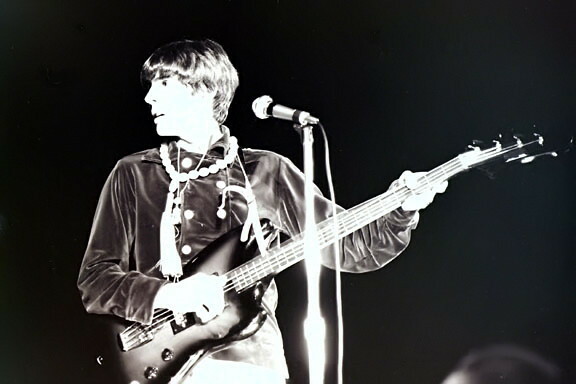 It should also be noted that Davy Jones was often seen playing this bass in concert in 1967 and 1968 when Peter would move to keyboards. 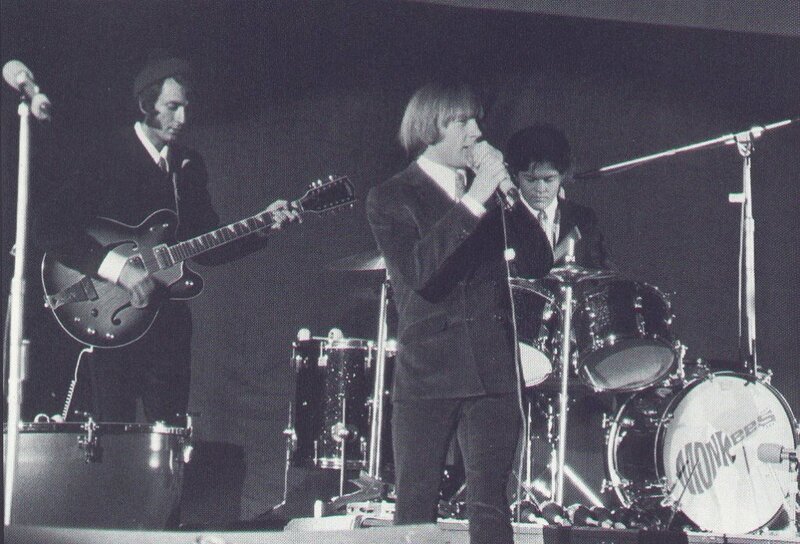 Peter was last seen using the Jetstar while on tour with The Monkees in Australia and Japan in late 1968. 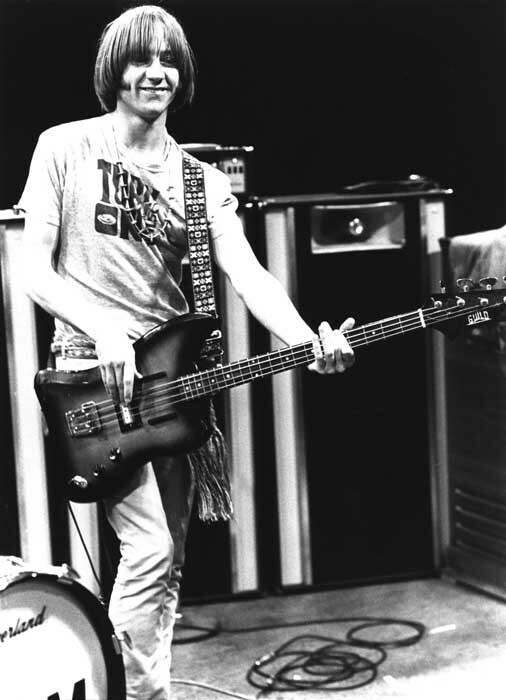 A representative from Fender Guitars (who currently manufactures Guild instruments) relayed that Peter's Jetstar bass was manufactured sometime after 1966 as this is when the headstock changed to the 4 in-line. The Fender representative also noted that some referred to this Jetstar bass as the 'JS1 Model." However, Fender does not have any official documentation of that reference. This particular model was discontinued in 1970. 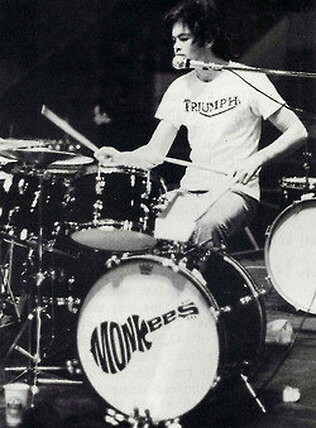 ​Peter used a variety of keyboard models when performing live with The Monkees between 1966 and 1968. 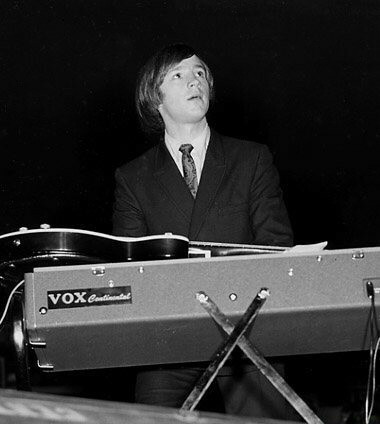 In the picture to the left he is playing a Vox Continental in late 1966/early 1967. 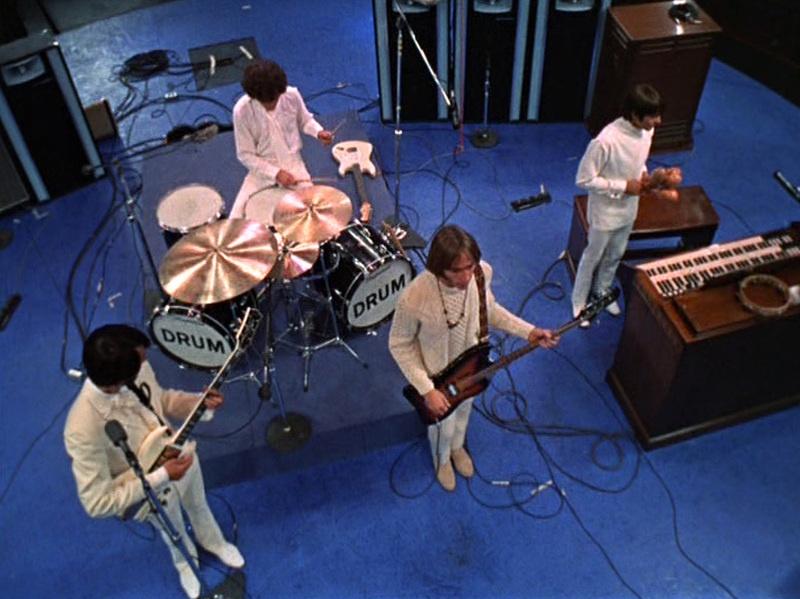 This brand of organ also appeared several times during filming of The Monkees' television series (below to the right). 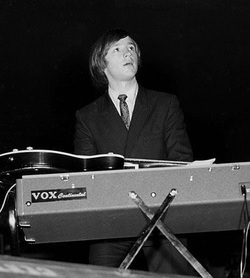 A Fender Rhodes Bass Piano is seen onstage in the picture (below to the left) taken in Winnipeg, MB, Canada in April 1967. 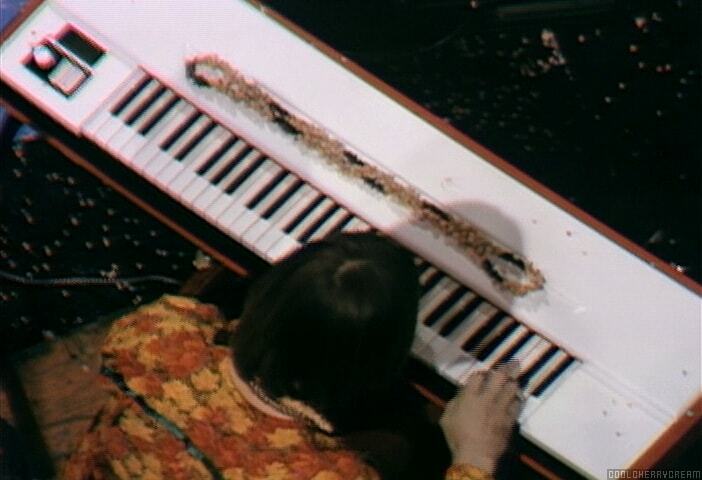 It is unknown which type of keyboard Peter used during the Australian/Japanese tour in late 1968 (below). 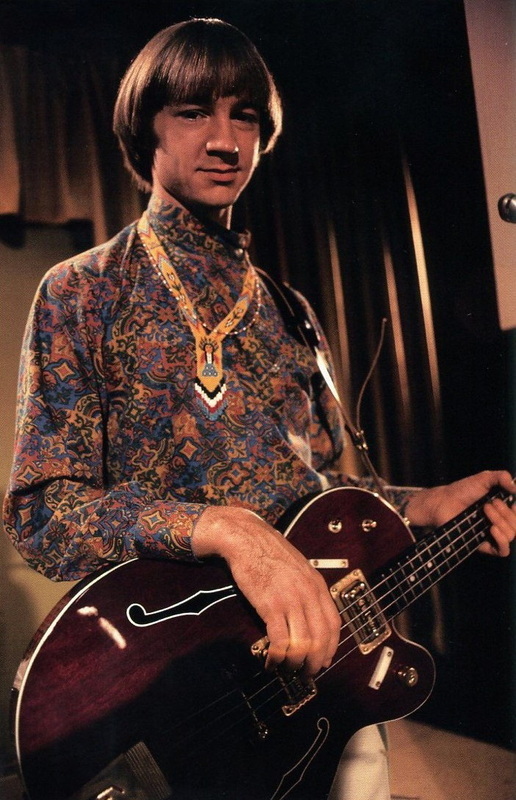 An advertisement in the British publication Beat Instrumental referenced The Monkees' use of Vox organs (and amplifiers) during their shows at Wembley in June and July 1967. 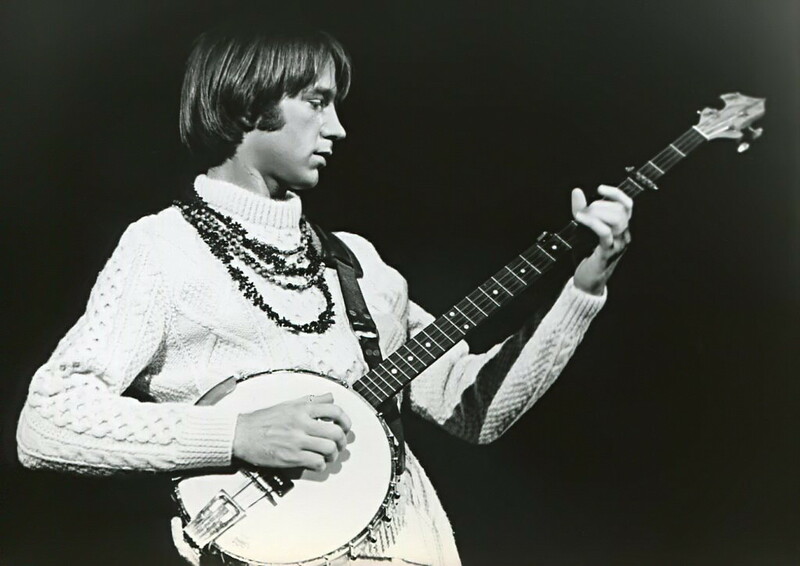 During Monkees concerts in the 1960s, Peter often played the banjo on songs like "Cripple Creek" and "Cindy." 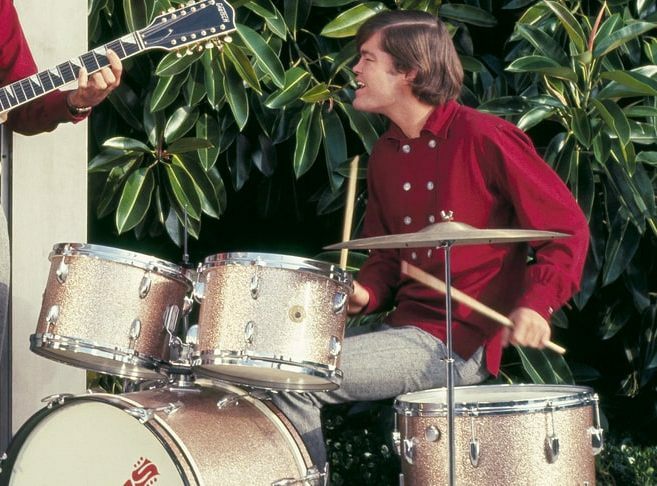 He continued this tradition once The Monkees reunited in the mid-1980s, using the instrument for performances of "You Told Me," "Sweet Young Thing," "What Am I Doing Hangin' 'Round?" and his own rendition of Jackie Wilson's "Higher and Higher." 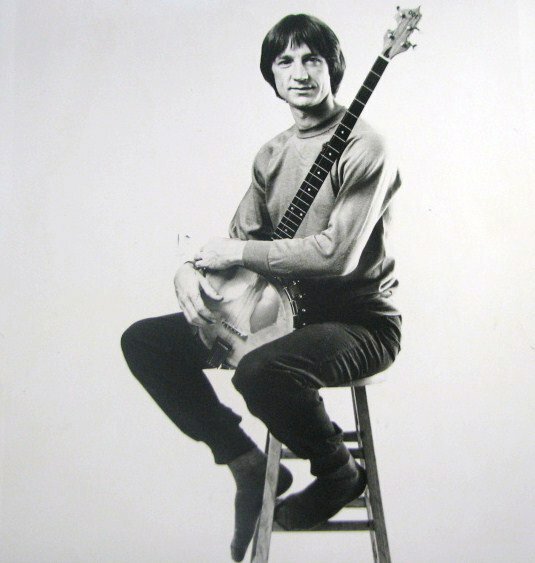 ​Peter owned this Ode brand banjo before The Monkees. 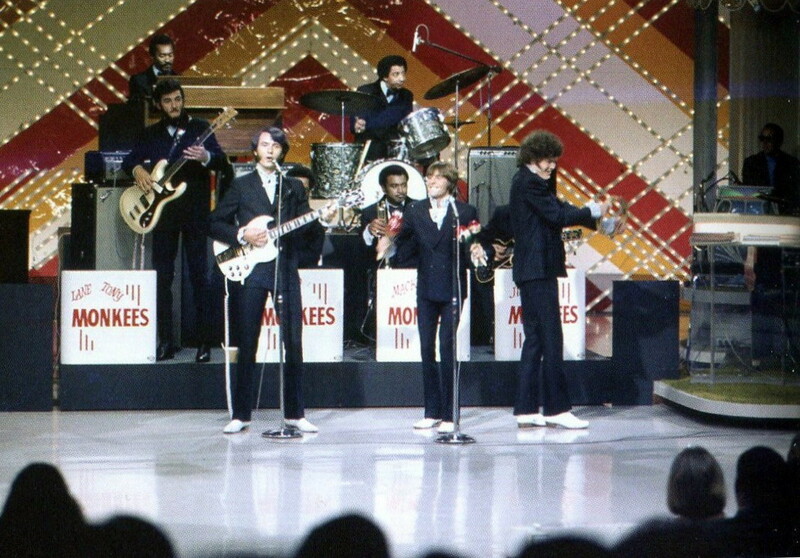 It's the same one seen on the 1967 "Monkees on Tour" episode and has also been featured at Monkees concerts from the 1980s to the present. 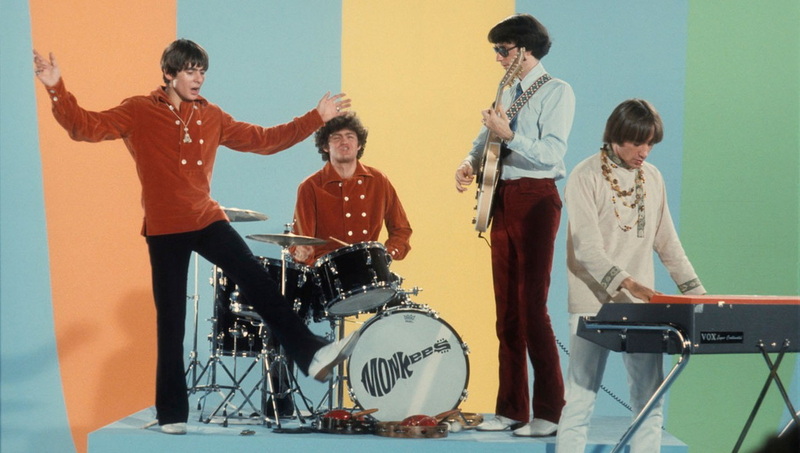 In this video clip below, The Monkees perform "Circle Sky" live at the Valley Auditorium in Salt Lake City on May 17, 1968. 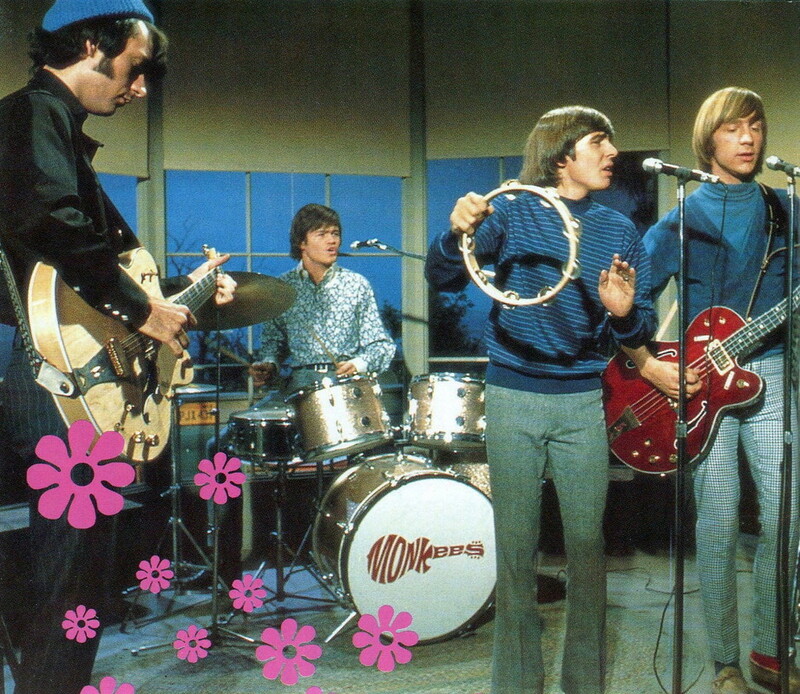 ​ Michael can be seen playing his Gibson guitar, Micky is using the Slingerland kit, and Peter's bass is the Guild model. Davy is playing maracas and the organ. 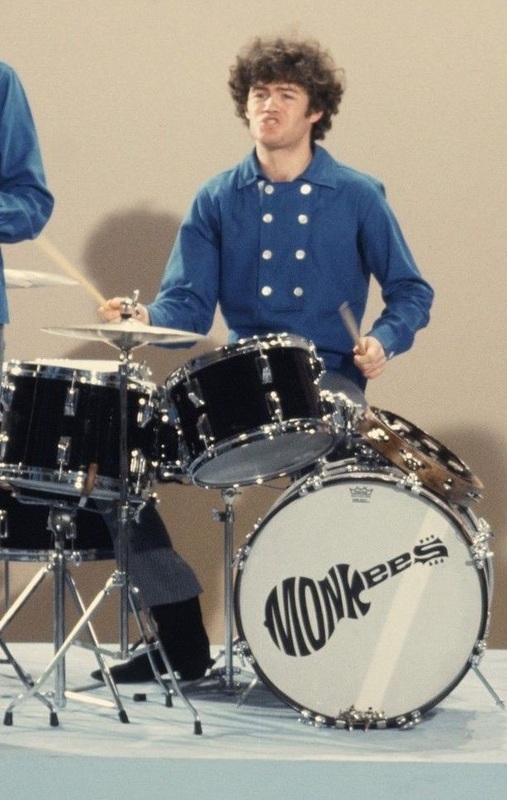 Micky's first exposure to drums came through Gretsch when the company entered into an endorsement deal with The Monkees. 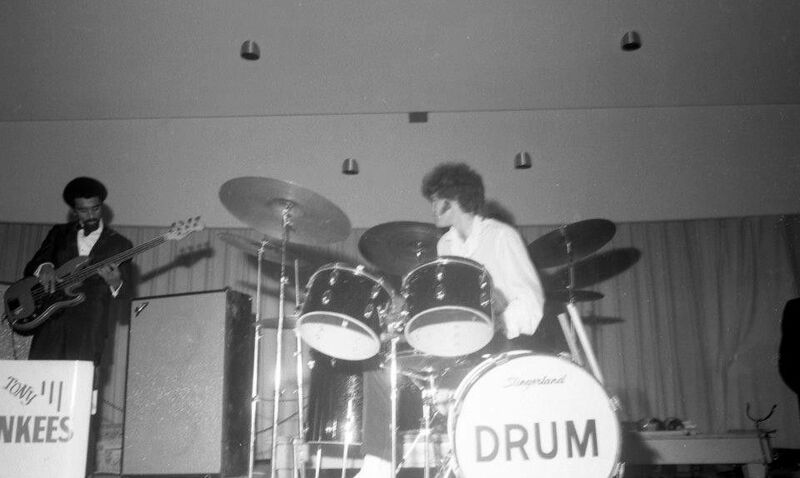 Originally a guitarist, Micky took a crash course in playing drums throughout 1966. 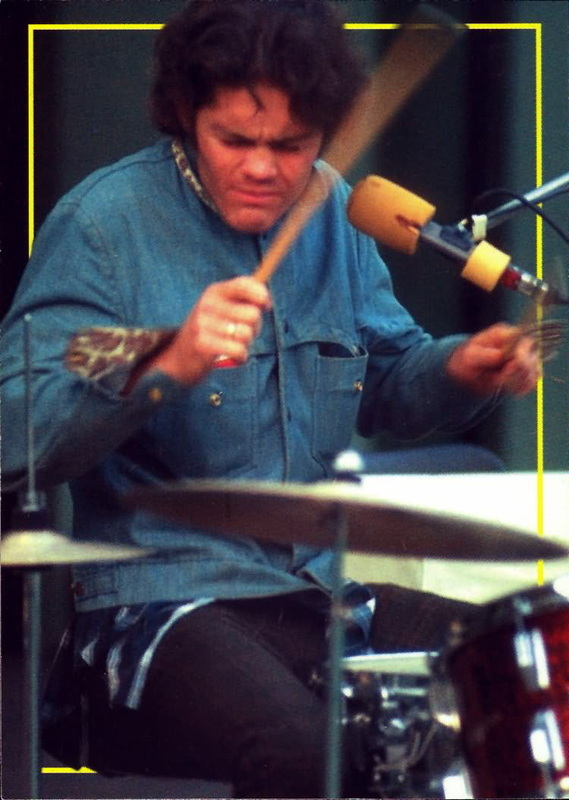 In the process, he was aided and abetted by some of music's finest drummers, with Micky using members of the famed Wrecking Crew and others for guidance. "My first teacher here in Los Angeles was John Carlos," Micky told Modern Drummer. 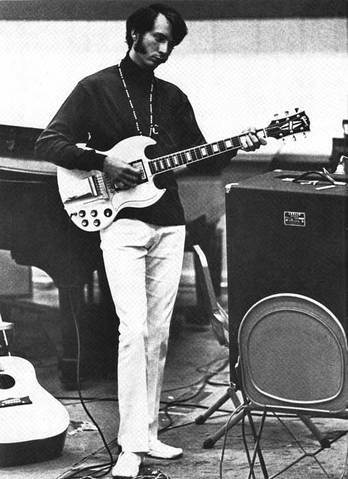 When I was in the studio during the early Monkee sessions, I would get pointers from Earl Palmer and Hal Blaine, and guys like Buddy Miles would come over to my house. Before we went out live, I had a great deal of practice time." 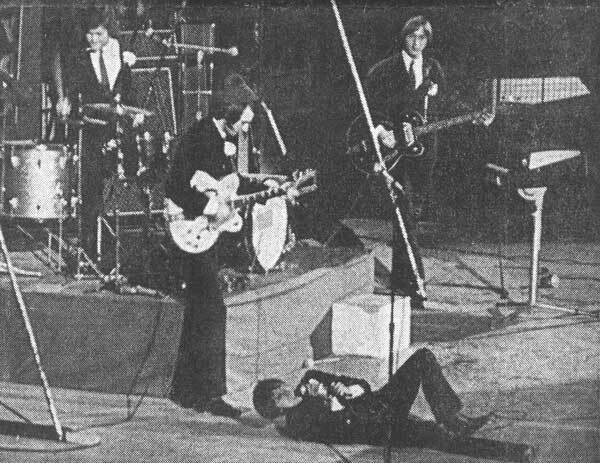 In an interview with Music Radar, Micky was emphatic about seizing the moment when being surrounded by such pros. "Absolutely, I was watching what they were doing. Hal and Earl, I learned from the best...Over the years, I've taken it very seriously." 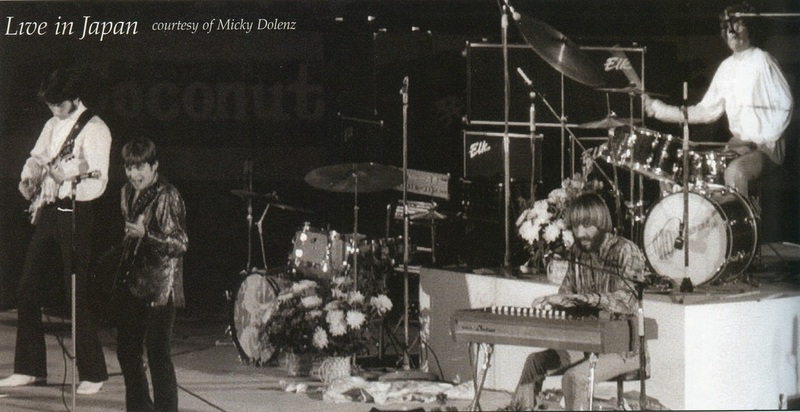 Micky is often asked about his rather unconventional style when setting up his drum kit to play. "Yeah, half-right, half-left," Micky told Modern Drummer. "The bottom half is left-handed and the top is right-handed. I know it’s bizarre: I play the kick with my left foot and the snare with my left hand." It turns out that a childhood illness contributed to Micky's unique setup. "When I was a kid I had a leg disease called Perthes. My right leg was, and still is, weaker than my left. So when I went to play conventional-style, it hurt. But since I was just beginning, John Carlos said, "Hey, change it around." 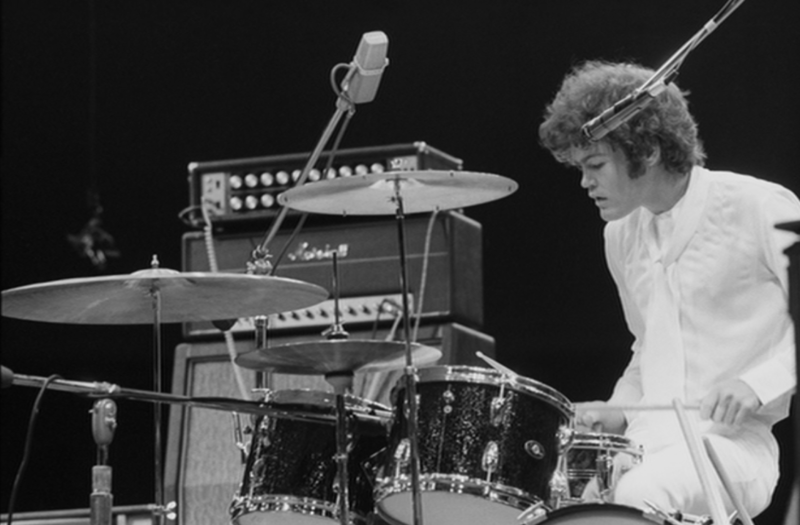 He put the kick on my left and the hi-hat on my right—which I still do to this day—and it worked!" 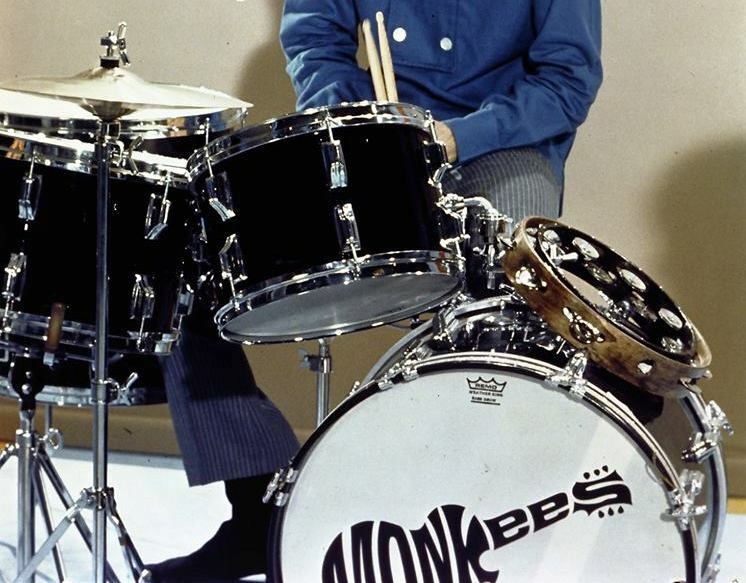 The Champagne Sparkle kit was seen on The Monkees television series throughout its run on NBC, and Micky played this particular kit while on tour with the group in late 1966 and into 1967. 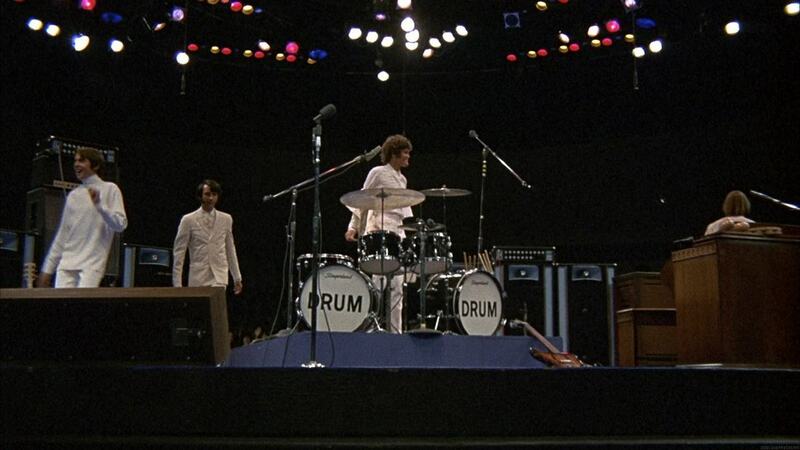 "I had those drums for years," Micky told Classic Drummer. "And when I moved [from his Laurel Canyon home in California], I didn’t take them with me. I wish I still had that set." ​By the time The Monkees' 1967 summer tour rolled around, Micky had moved to a Rogers kit. 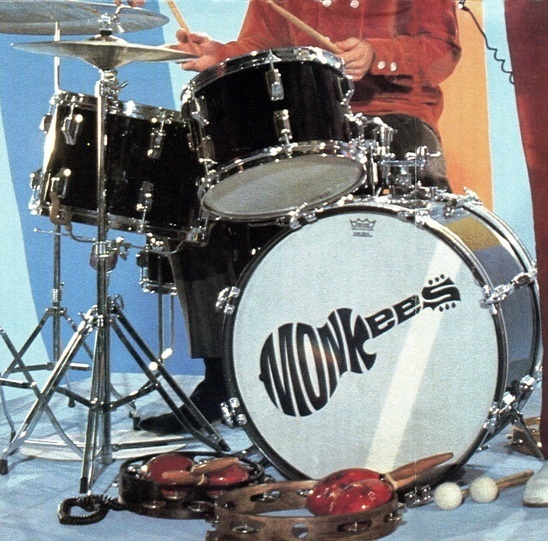 This drum set was also used on The Monkees television series during its second season as well as for filming the music videos in the "Rainbow Room" in Chicago. 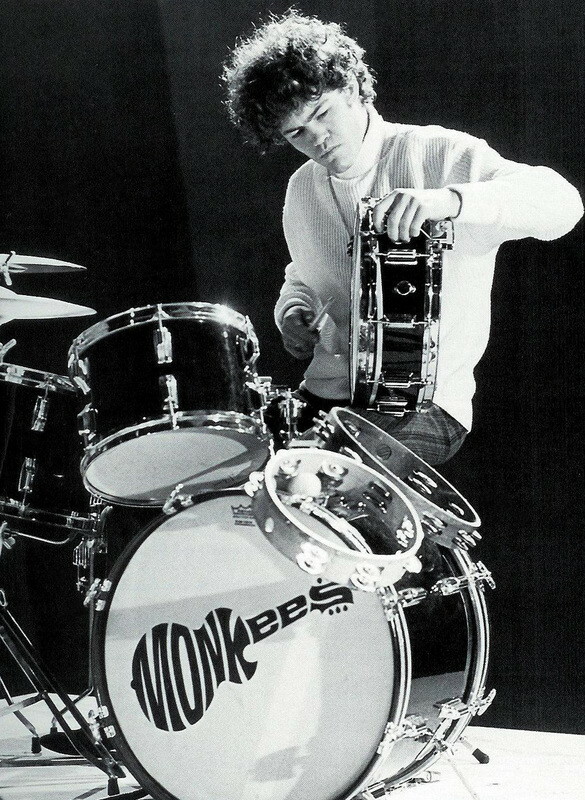 Based on research it appears that the Rogers kits that Micky used were made up of several different single components and it may have started out as a Rogers 'Londoner' model. 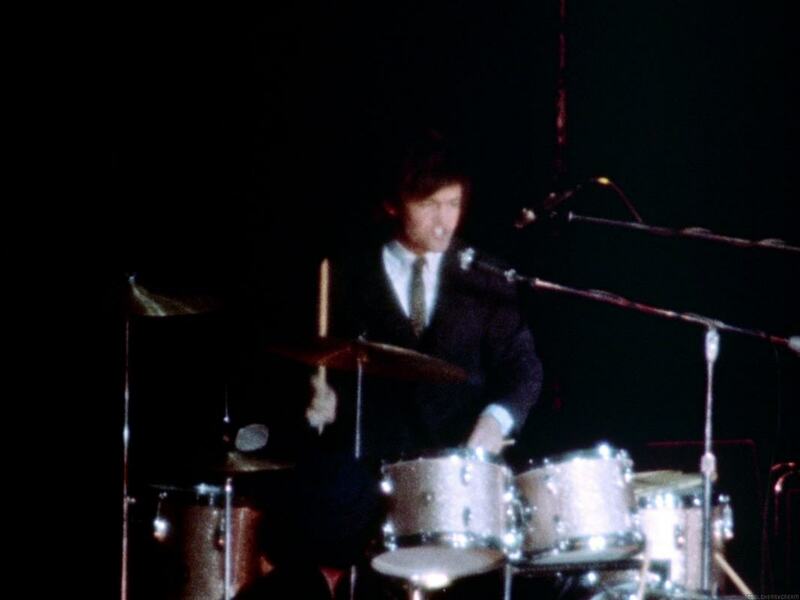 Did Micky have a preference between the Gretsch kit he started with and the Rogers one he used later in 1967? "No, not really," Micky told Music Radar. 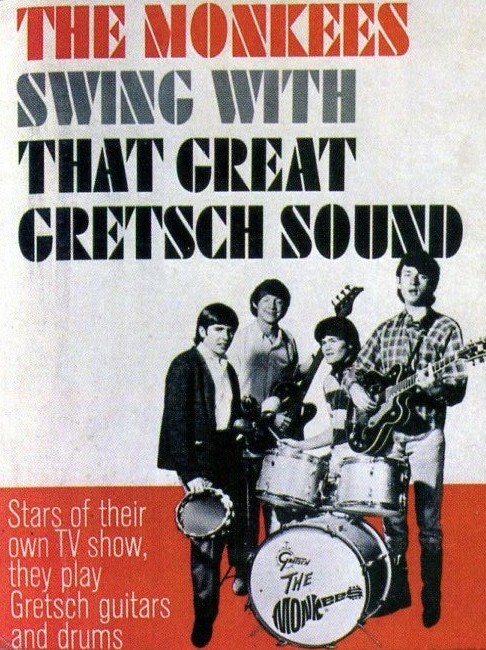 "The Gretsch was the first kit that was promoted for the show. 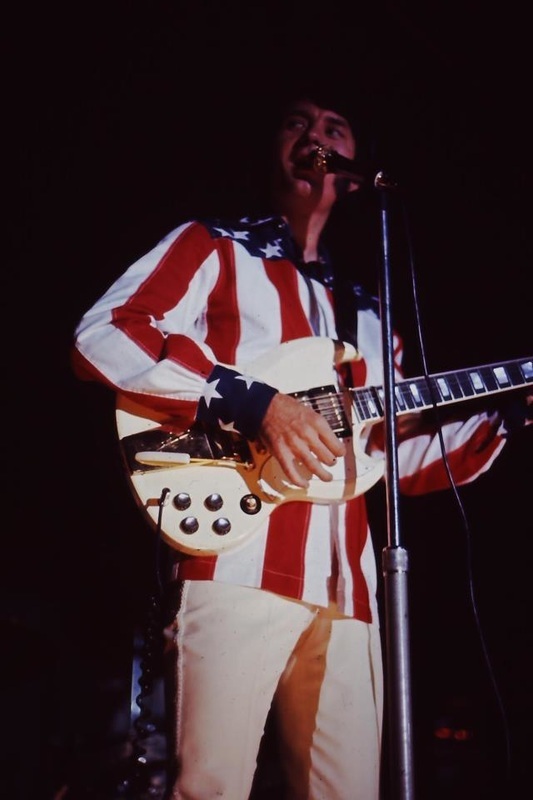 When the [1967 summer] tour came along, I played the Rogers on the road. I still have that set." Micky also reflected on the changes he has seen over the years in the make-up of his kits. "It's so funny, boy, back then the hardware was so flimsy. The cymbal stands and the hi-hats…and the kick drum had this leather strap holding it together." 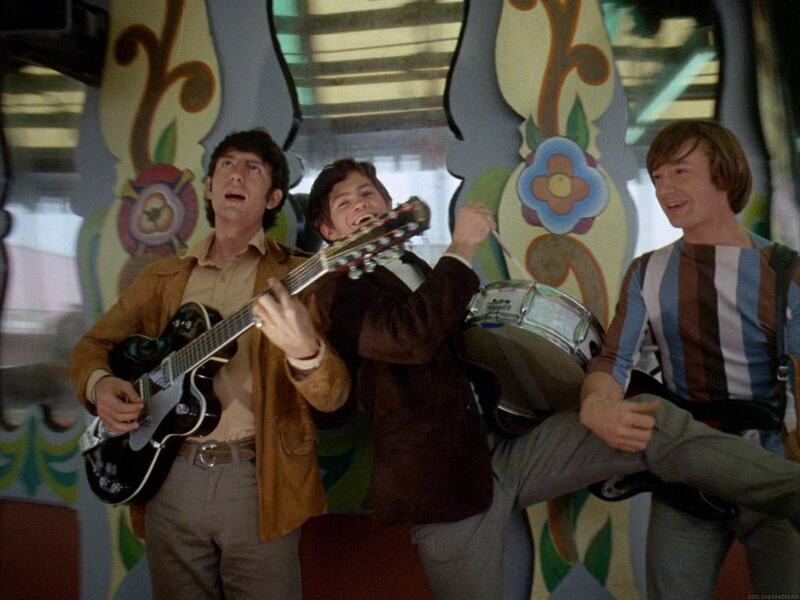 ​Another Monkees instrument made famous by its appearance in the movie Head was Micky's Slingerland kit. 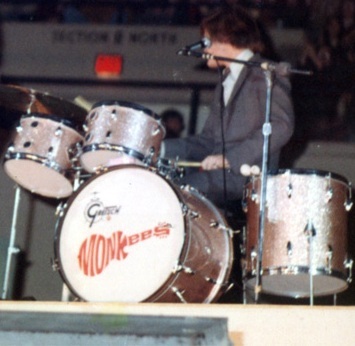 With its customized 'DRUM' logo on the bass drum, the Slingerlands were also used on the concert stage when The Monkees visited Australia and Japan in 1968. While filming "Circle Sky" live in Salt Lake City, Utah for Head, a double bass drum set-up was configured. 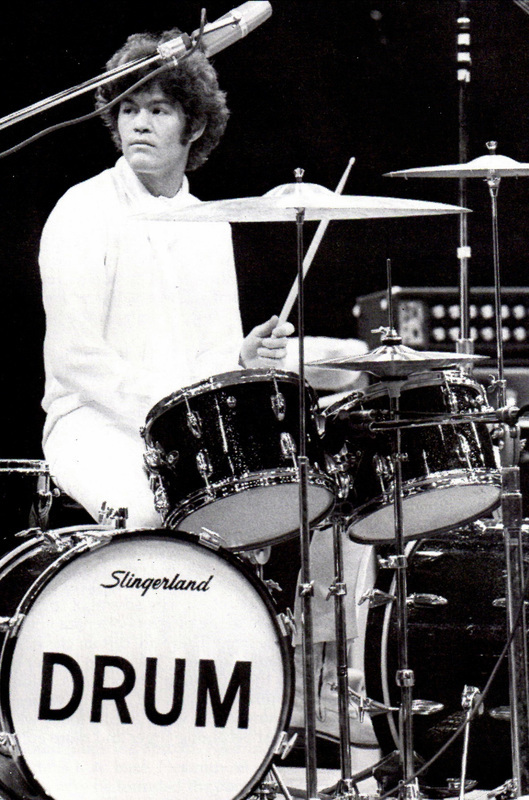 Micky continued to use the Slingerland kit throughout 1969. 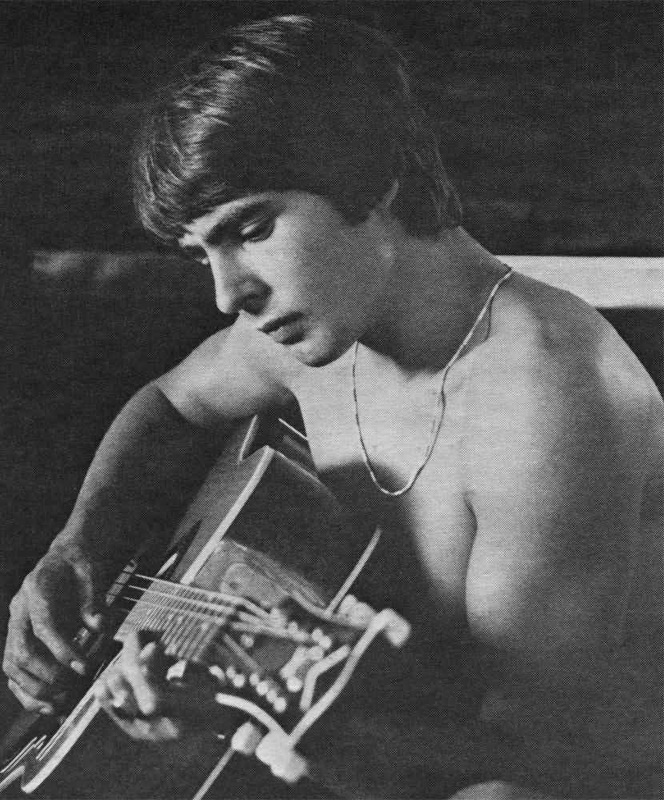 In an appearance with Davy and Mike on The Glen Campbell Goodtime Hour (Peter had left the group by this time), he can be seen playing it during a live medley of Monkees songs that included "Last Train to Clarksville," "I'm a Believer," and "Salesman." 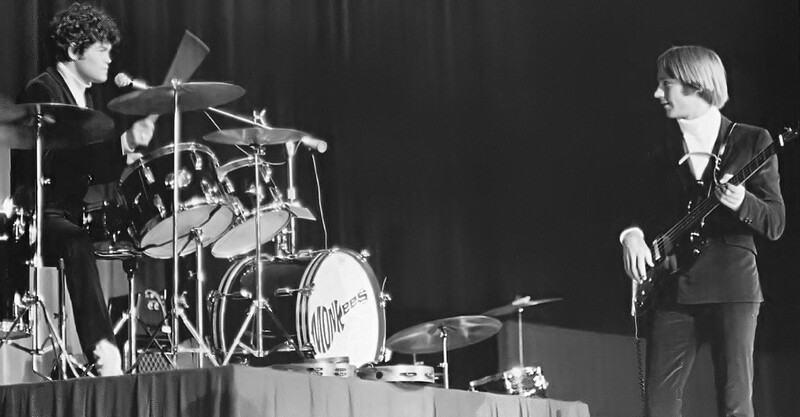 The Slingerland drums also traveled with Micky when The Monkees conducted a yearlong tour of North America with Sam & The Goodtimers in 1969. 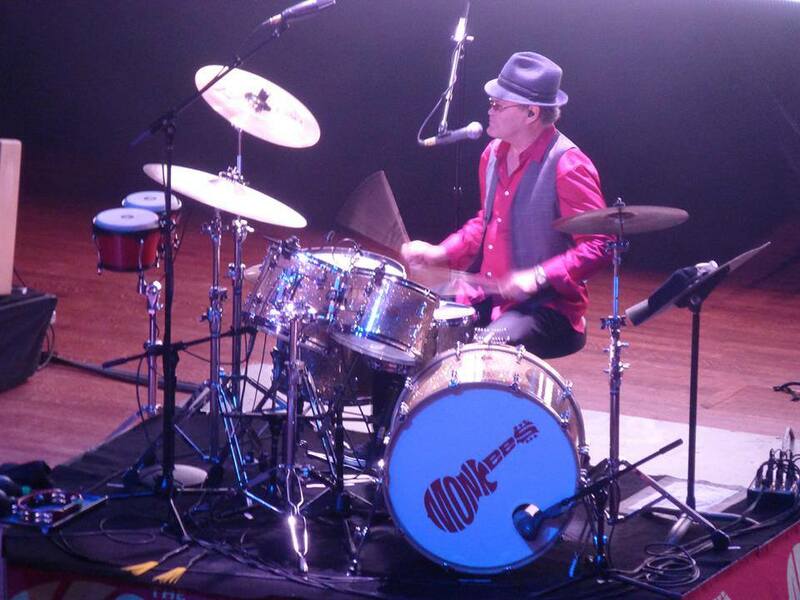 One of the original 'DRUM' drum heads survives and is in the collection of Ryland Allison (son of Keith Allison, a friend of Michael's from Texas who was featured as a session musician on several Monkees recordings). 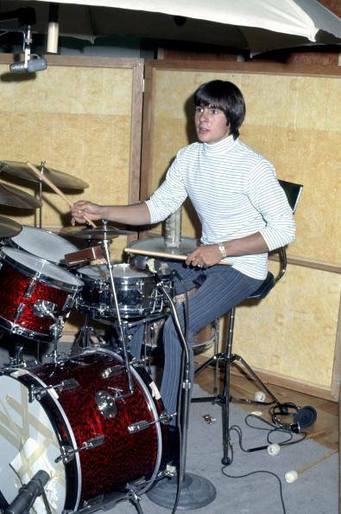 It was sold to him by Davy with a drum set when he was very young. In 1966, Gretsch produced a bass guitar especially for Davy. 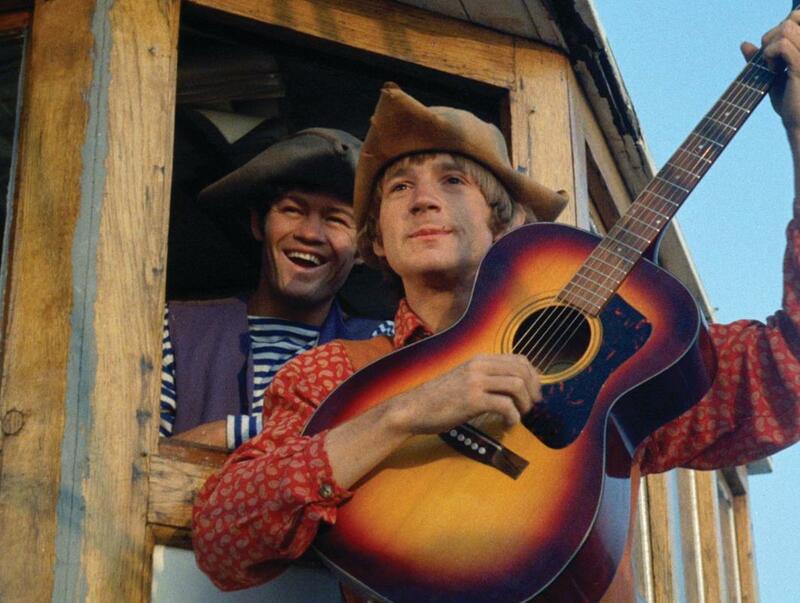 Rarely used, it made its first appearance on The Monkees television series in the episode "Son of a Gypsy" in late 1966. 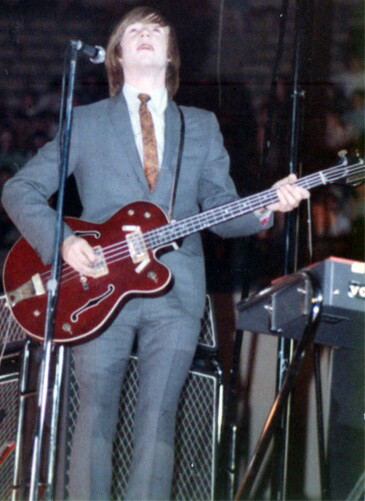 During the group's inaugural live concert appearance in Honolulu, Hawaii on December 3, 1966, Davy played his Gretsch bass when Peter moved to keyboards, a tradition that would continue during Monkees concerts through 1968. 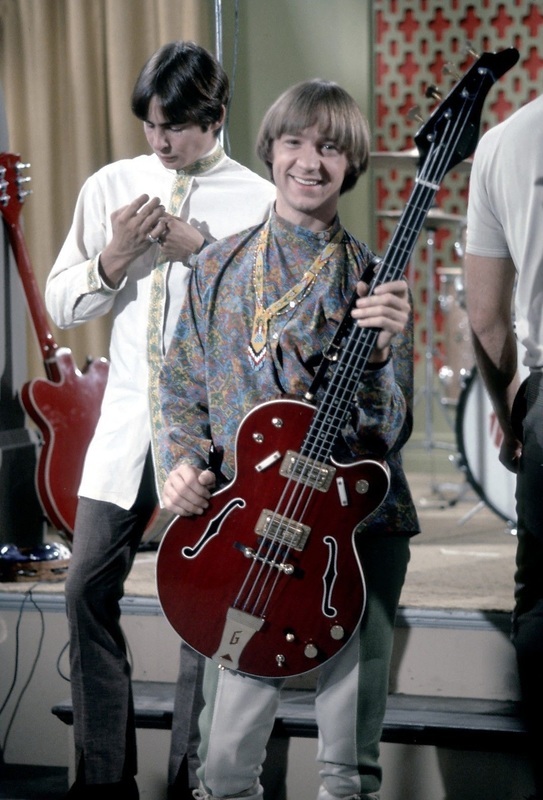 Photographs from the 1967 Monkees summer tour, however, usually show Davy playing Peter's new Guild bass when it came time to switch off, instead of his Gretsch. Davy was last seen using this bass in concert during the 1969 Monkees tour, and for an appearance with Micky and Mike on The Glen Campbell Goodtime Hour that same year. 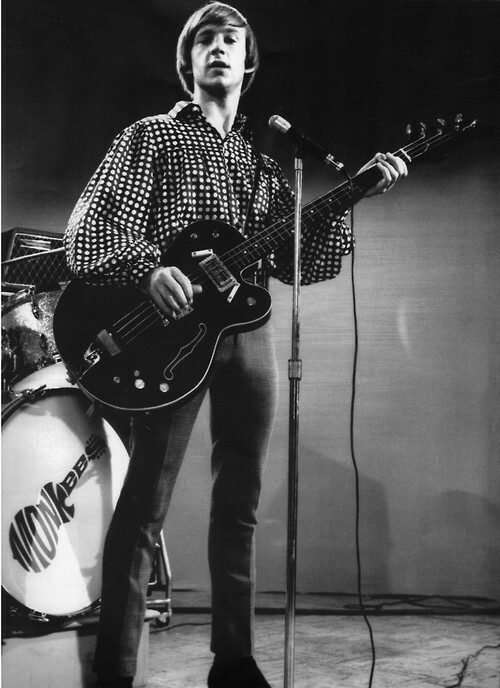 A representative from Gretsch confirmed that there was no record of this model bass guitar ever being produced again, so it is reasonable to conclude that Davy owned the only one. 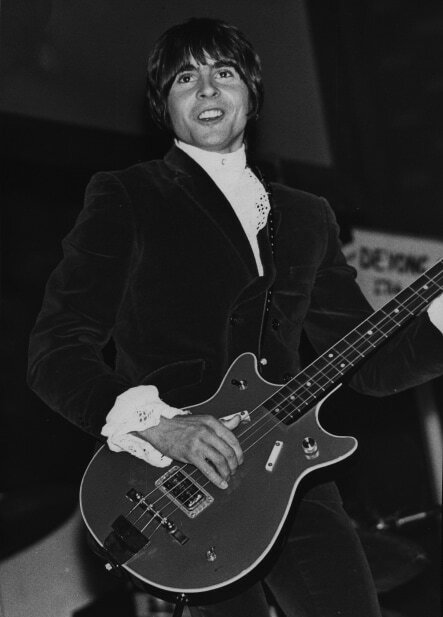 Davy kept his Gretsch bass in his possession until the 1980s when he gave it to a friend (who gave it back to Davy in the late 1990s). He made attempts to have Carvin reproduce the bass in the '90s. 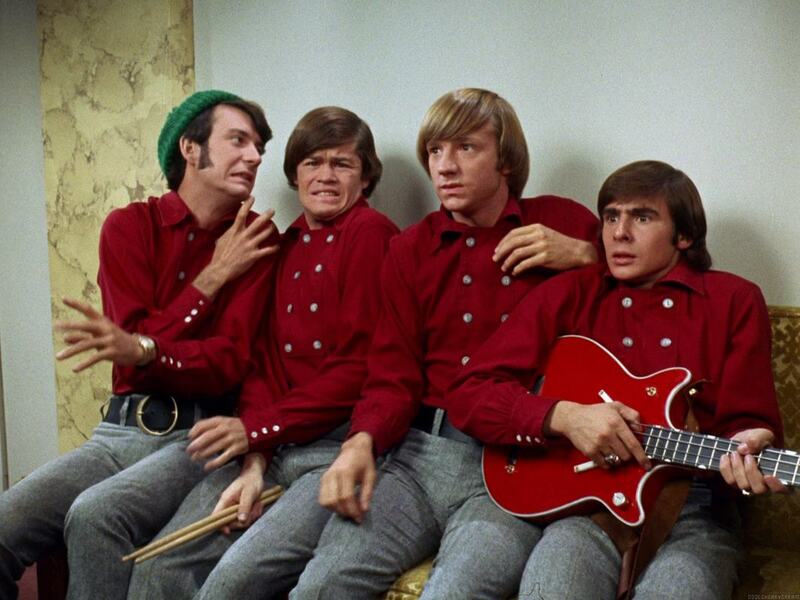 As to the whereabouts of Davy's bass today, it is reportedly missing. 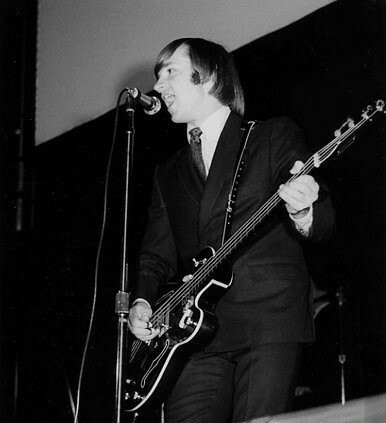 Here's Nez with a Rickenbacker while onstage with The Monkees in 1967 (location unknown, but thought to be Detroit, Michigan). 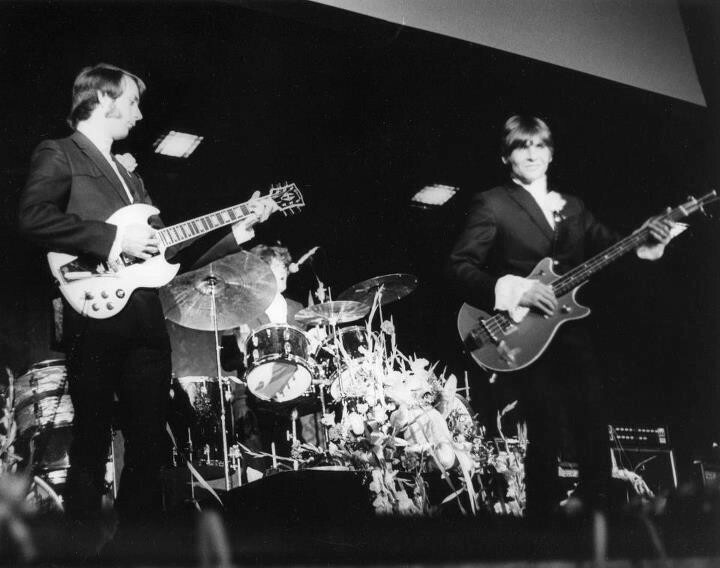 The Rickenbacker belonged to Roger McGuinn and was loaned by The Byrds for this concert when Michael's guitar was either having issues or was otherwise unavailable. 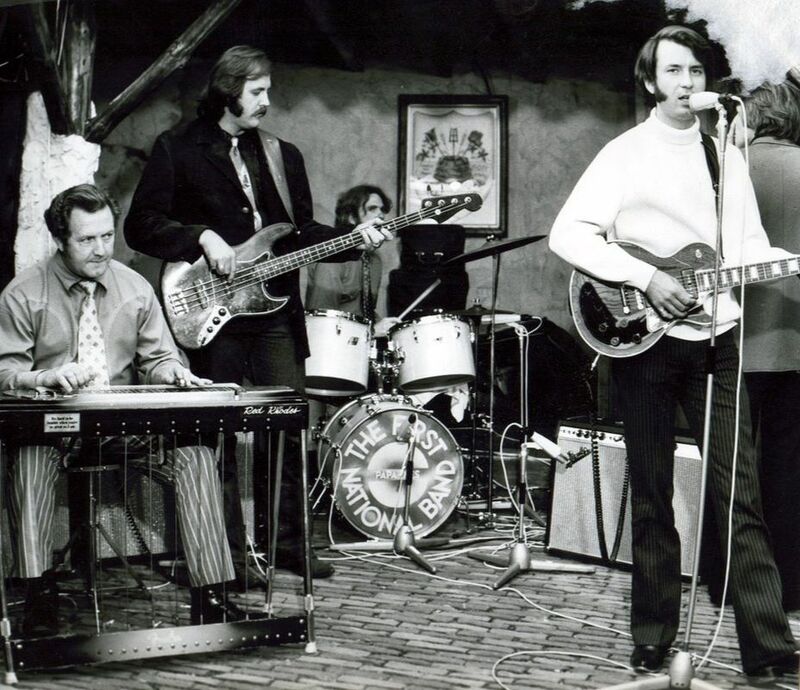 He is also pictured to the right with a Rickenbacker during the Headquarters sessions in 1967. It is uncertain as to the owner of that guitar. 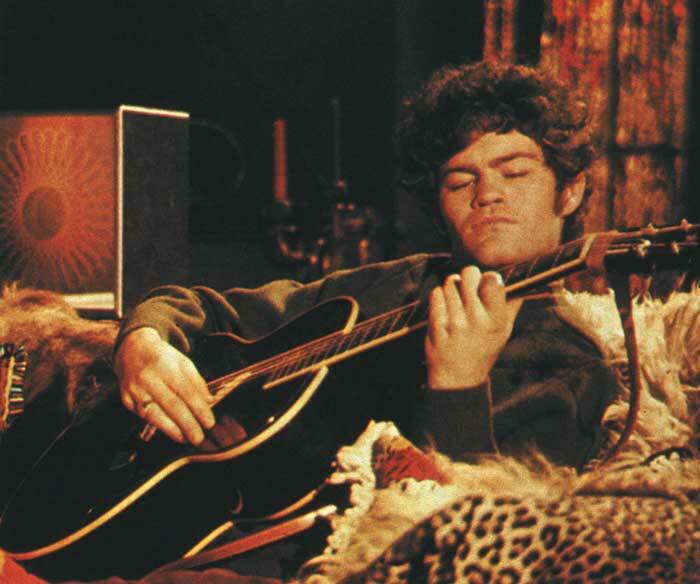 ​Peter is seen above playing his Guild acoustic guitar during filming of the movie Head. 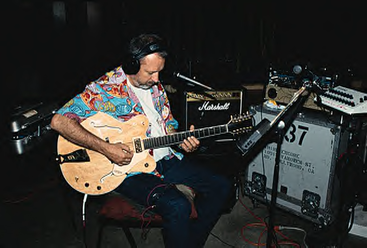 This is the same guitar Peter used during sessions for the Pisces, Aquarius, Capricorn & Jones Ltd. album, and it also can be spotted in the second season episode "Hitting the High Seas." 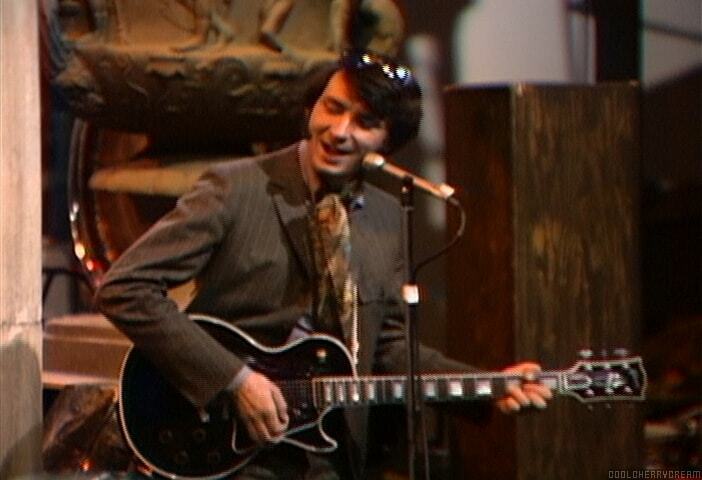 Peter's Guild guitar was purchased in Nashville, Tennessee in 1967 and he has had it refinished several times. 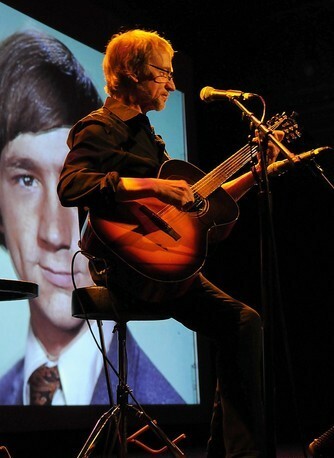 Here Peter plays the Guild during his 2013 "In This Generation" solo tour. 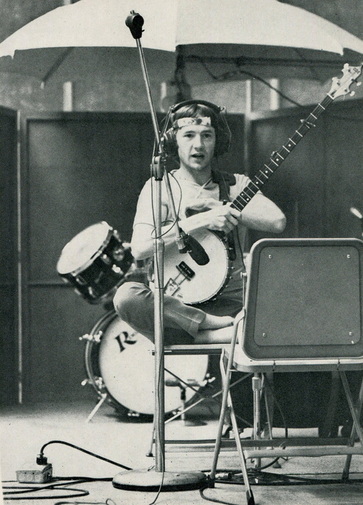 These pictures show both Micky and Davy sitting at the drum kit Micky used during the recording sessions for the Headquarters album. 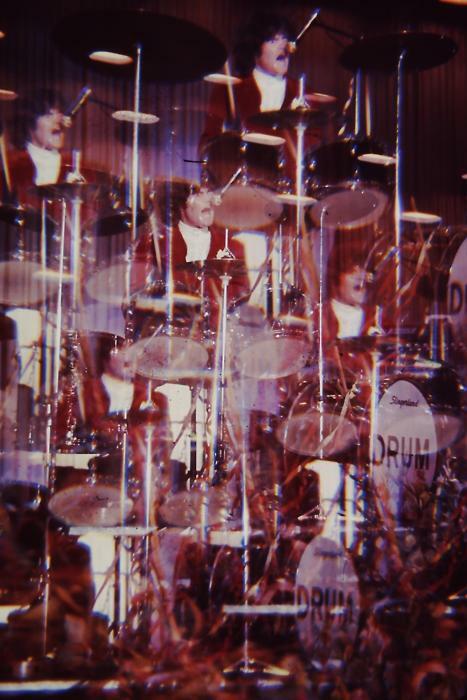 Davy is shown above during a session, and Micky is behind the kit during soundcheck at the Hollywood Bowl in 1967. Screen Gems owned a Gibson Everly Brothers Flattop model guitar that turned up as a prop in some episodes of the television series and even in shots from Head. 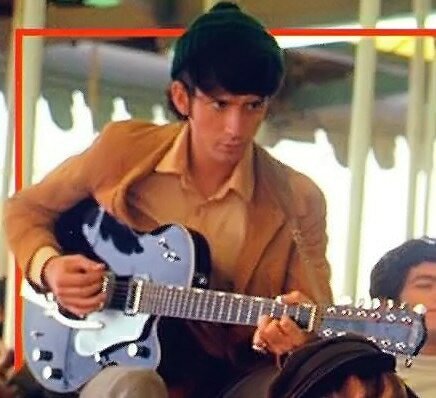 Still photos of Mike, Micky, and Peter all exist with this guitar, including the one above of Micky taken during the filming of Head. This is Davy’s Vox acoustic guitar from the back cover of the Pisces, Aquarius, Capricorn & Jones Ltd. album. 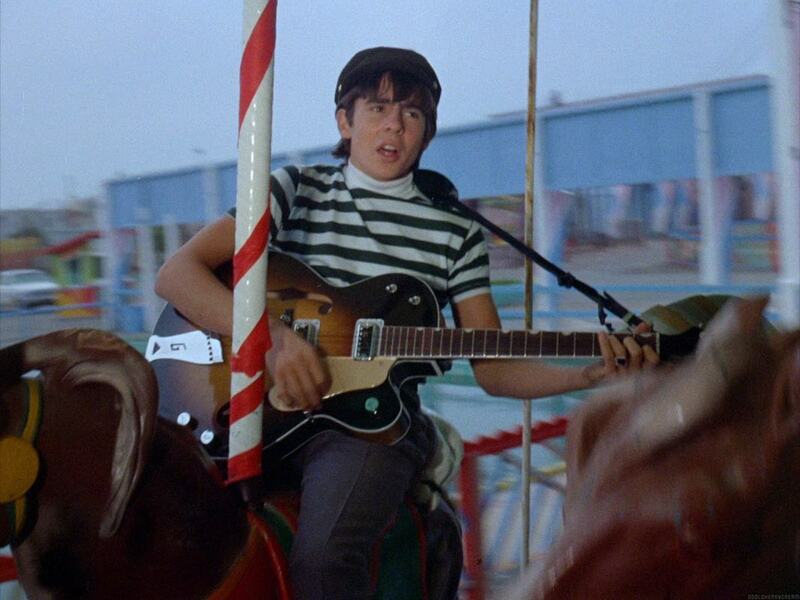 This guitar eventually broke which led Davy to a Gibson Dove model when writing for The Birds, The Bees & The Monkees album. 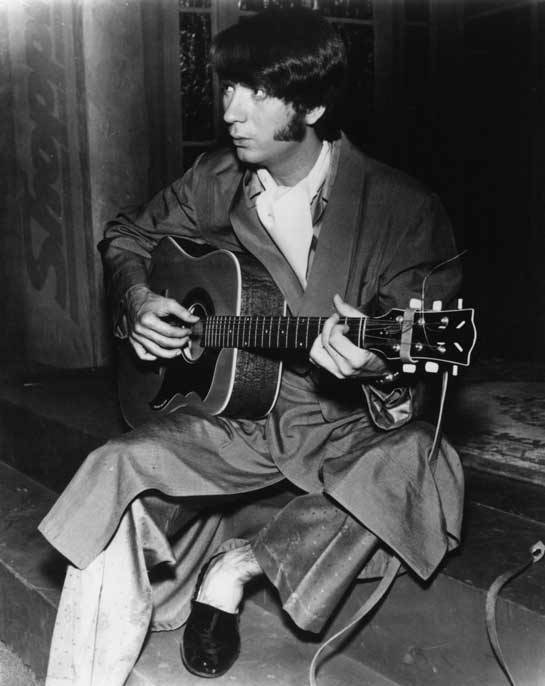 Peter used a Gibson J-160E acoustic/electric guitar during the Headquarters sessions. Here, Micky is playing it. 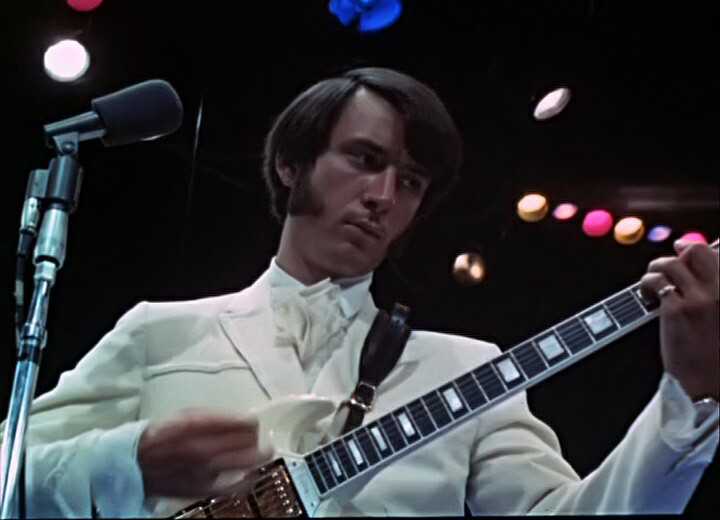 Mike is seen above with his Gibson acoustic guitar during the "Naked Persimmon" segment on 33 1/3 Revolutions Per Monkee. 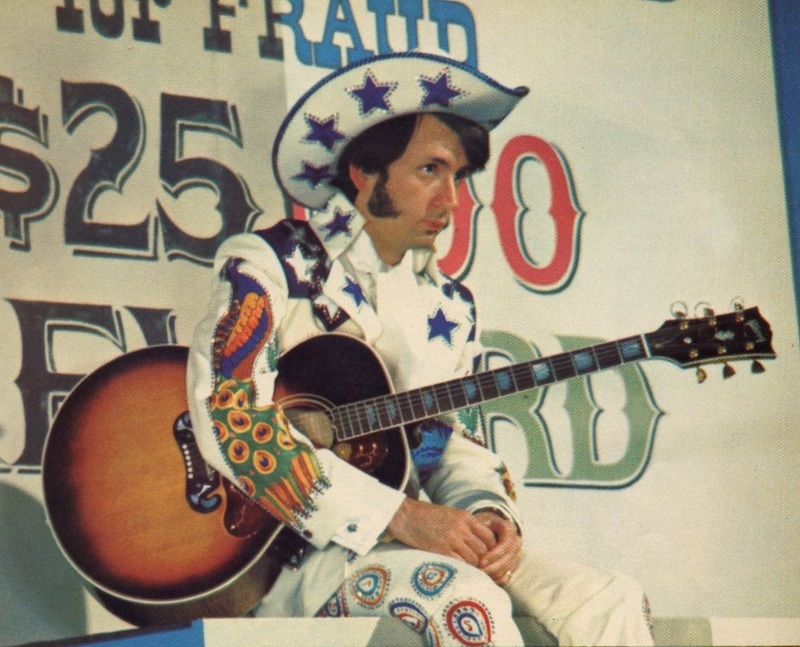 This same guitar was used during a spoof of his song "Joanne" on Elephant Parts in 1981. He has also used a Guild six string that can be seen below. 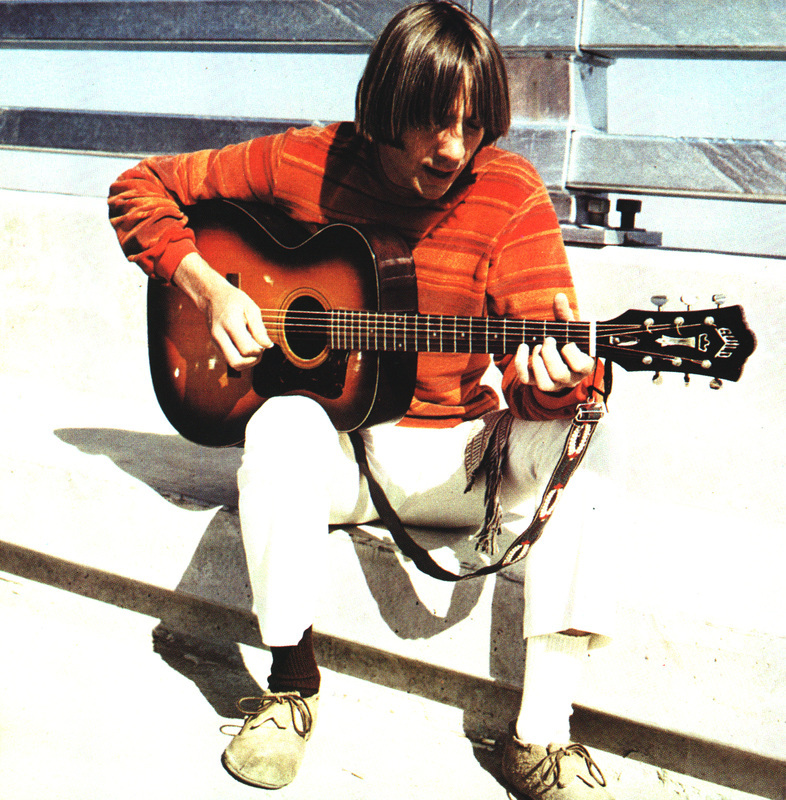 Today, Nez plays a Martin J-40 twelve string acoustic guitar. 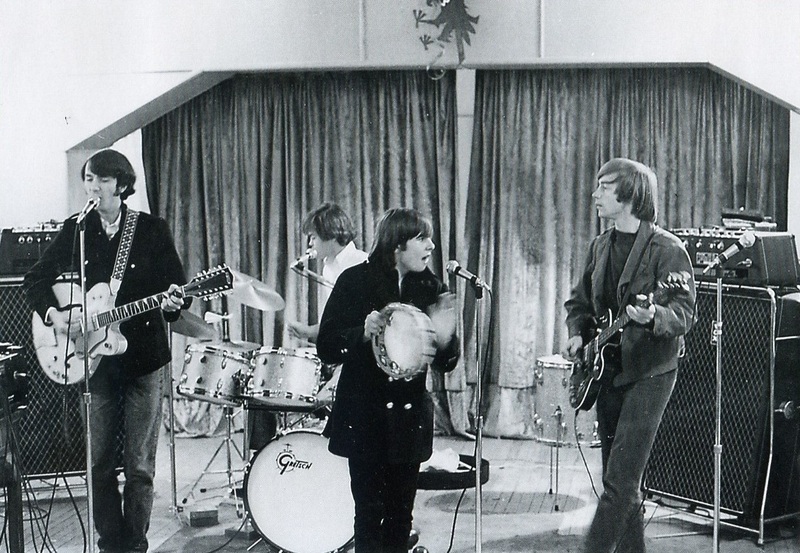 Note the blonde Fender Stratocaster on the riser next to Micky during the filming of the "Circle Sky" scene for the movie Head. It is unknown whether or not this was Mike's standby guitar that day. 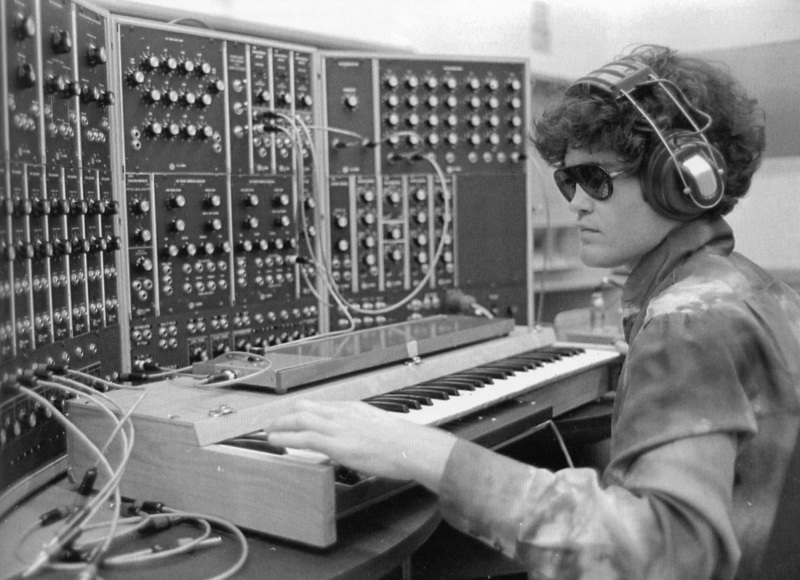 Micky owned one of the very first production models of a Moog synthesizer. 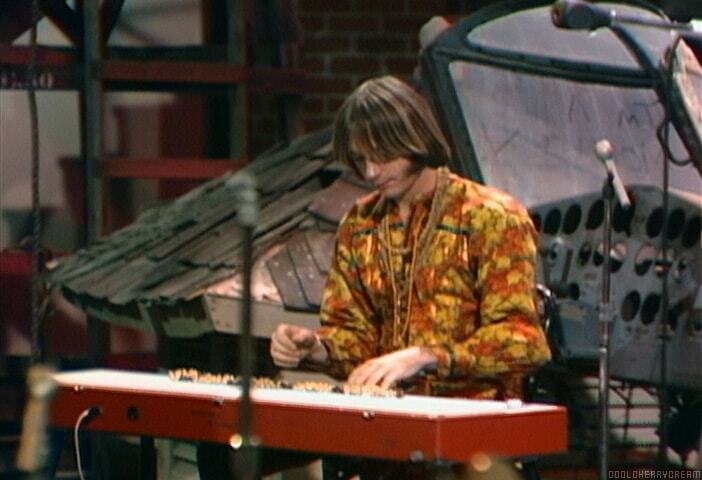 He was fascinated with the keyboard instrument after seeing it on display at the Monterey Pop Festival in 1967. 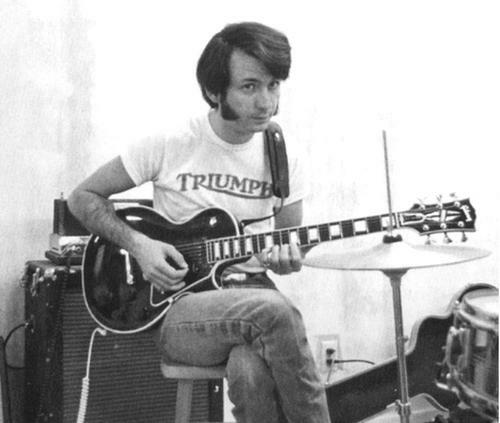 Micky would later play the Moog on Michael Nesmith's "Daily Nightly" in 1967. "It was actually a pretty difficult thing to use," Micky later said, recalling how those first-generation synthesizers had to be physically rewired for every different sound the musician might want to use. "I threw a party for John Lennon one night, and he sat there at the Moog for four hours making flying saucer sounds. It was great for flying saucer sounds." Michael has owned a few pedal steel guitars over the years and currently owns one. 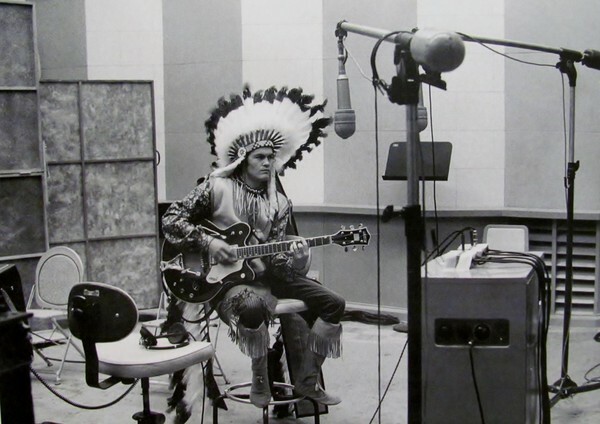 He had a custom model made by Sho-Bud in 1968 when he recorded in Nashville, Tennessee. 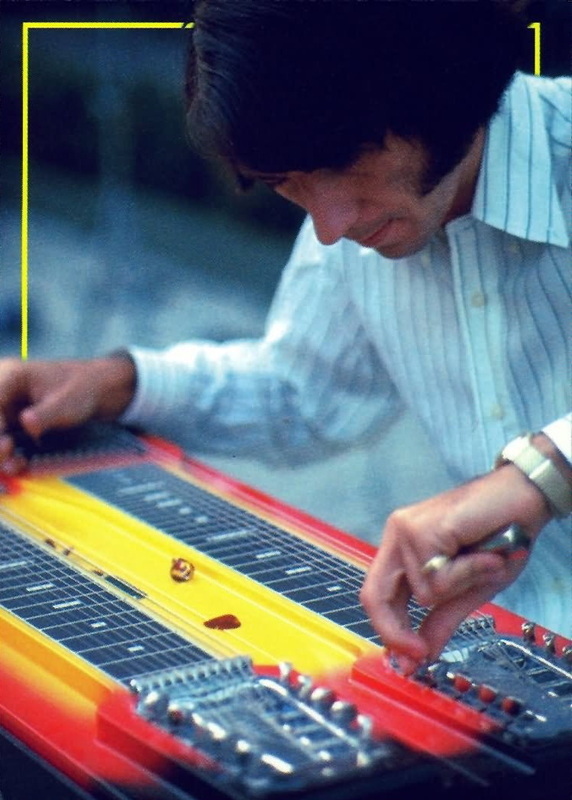 Here Nez tests what looks to be a Fender pedal steel during soundcheck at the Hollywood Bowl in 1967. It is thought that this might be the first pedal steel he ever owned. 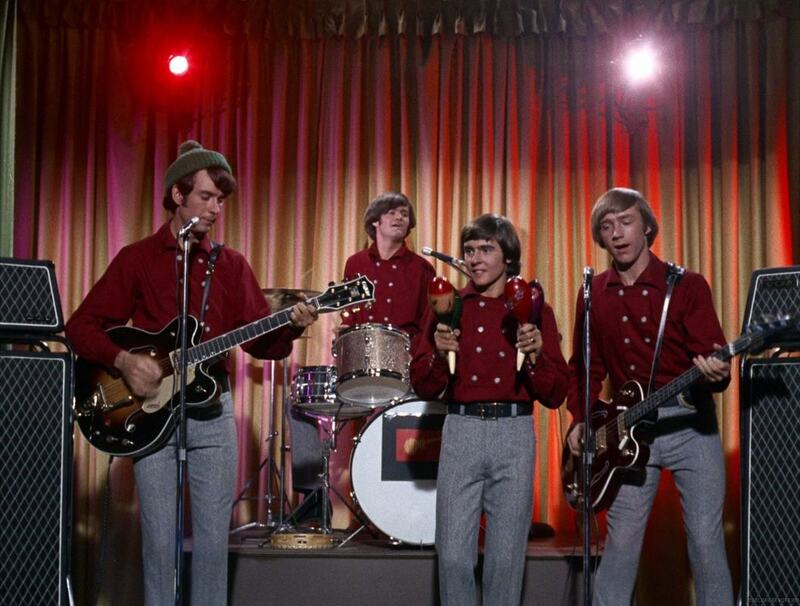 In this photo from November 1966, The Monkees, with their Gretsch instruments, rehearse for their first concert tour.